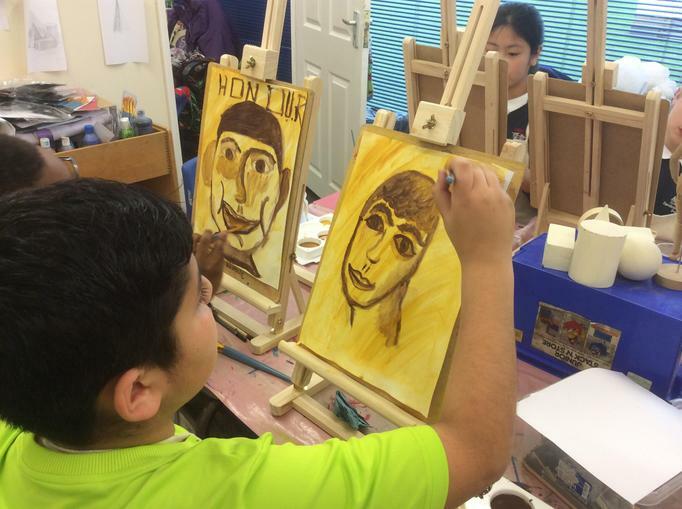 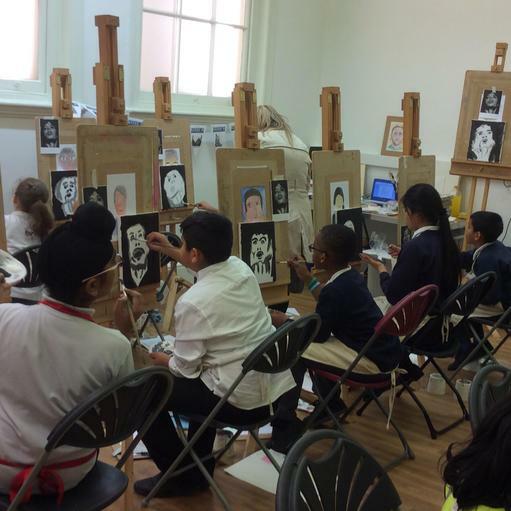 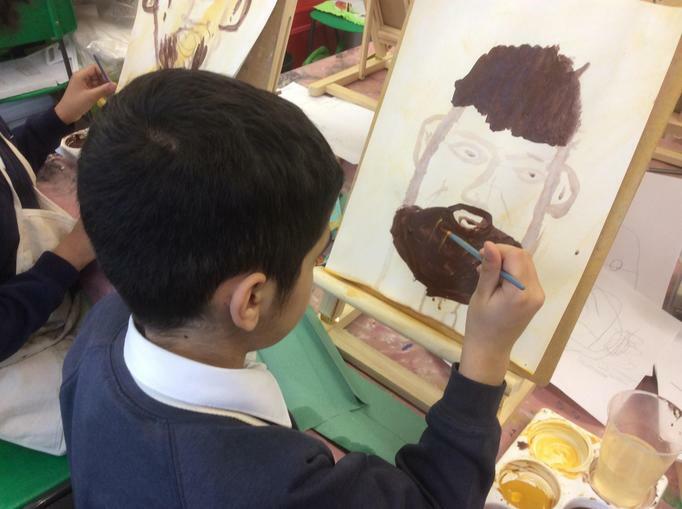 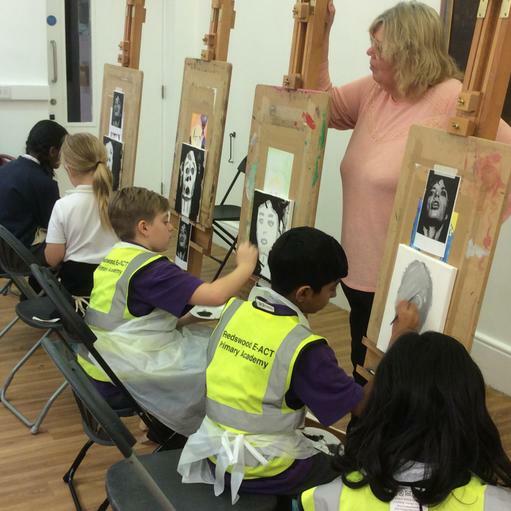 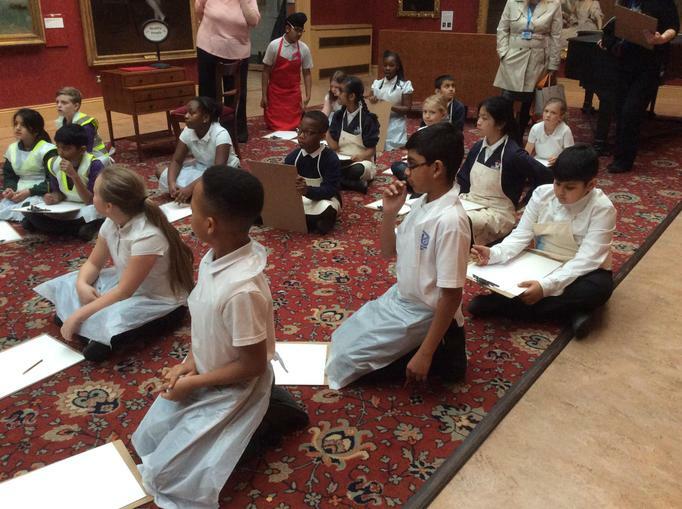 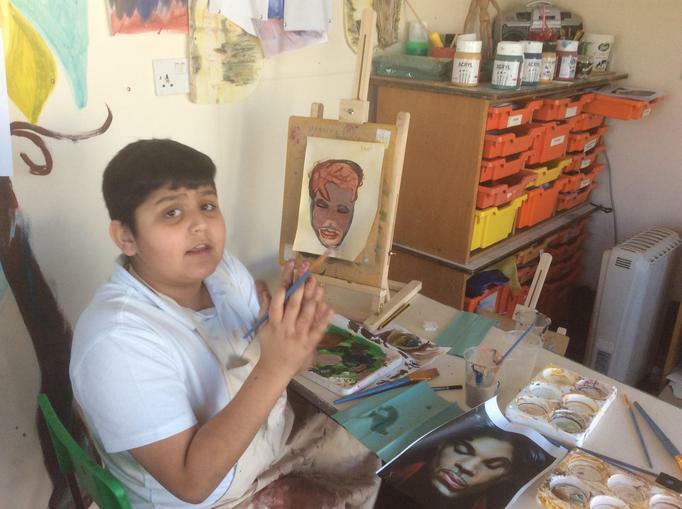 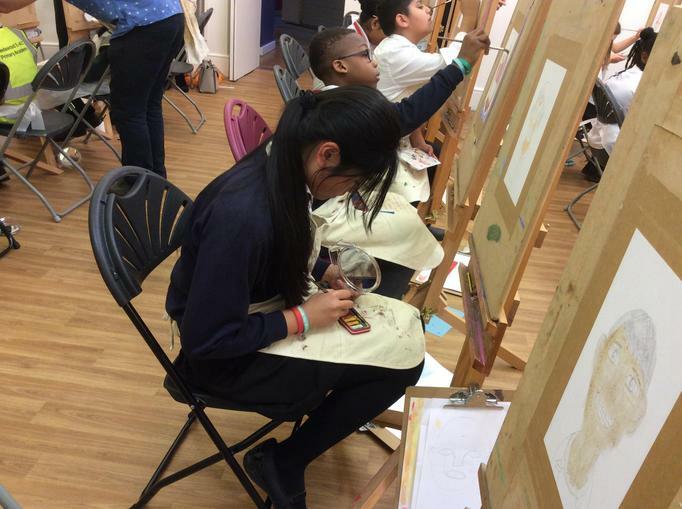 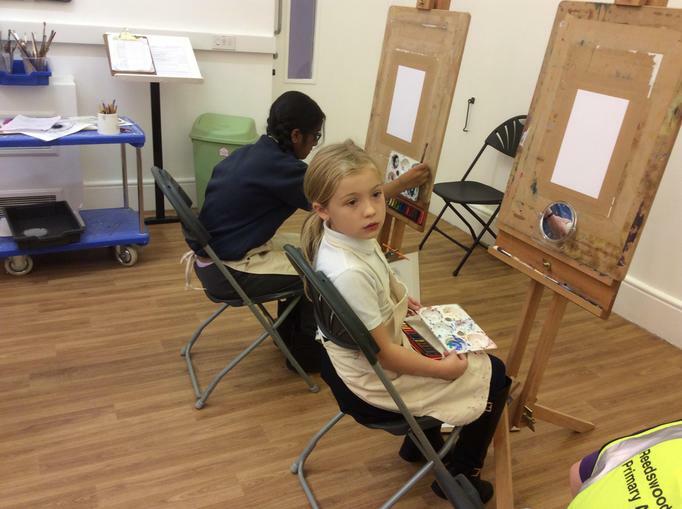 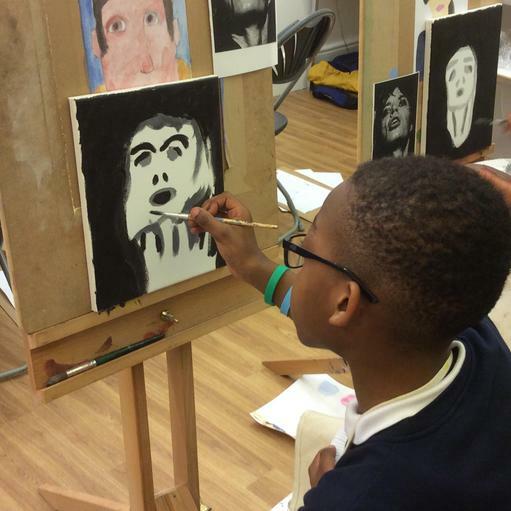 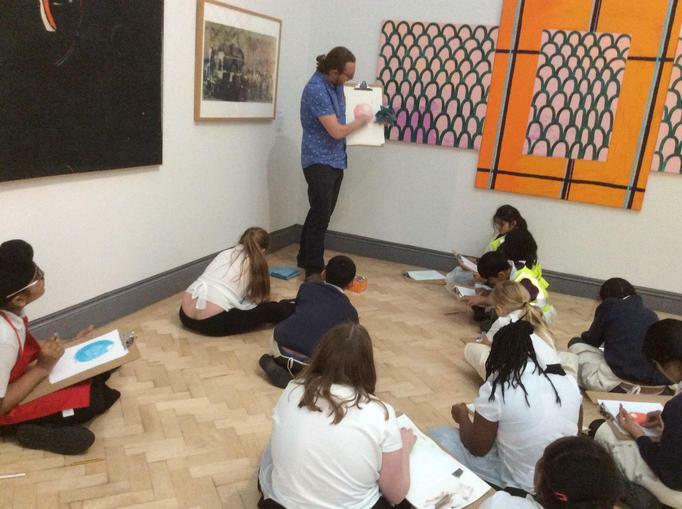 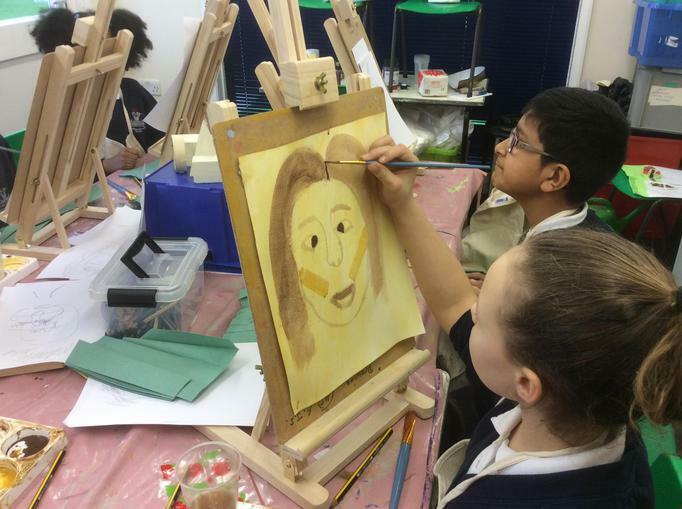 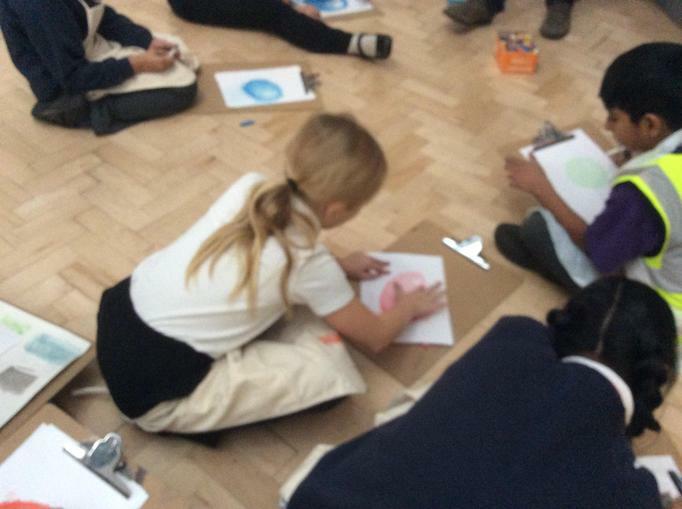 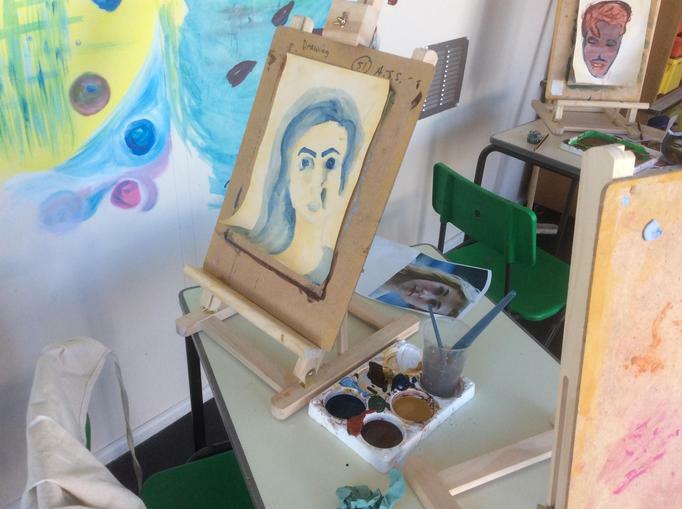 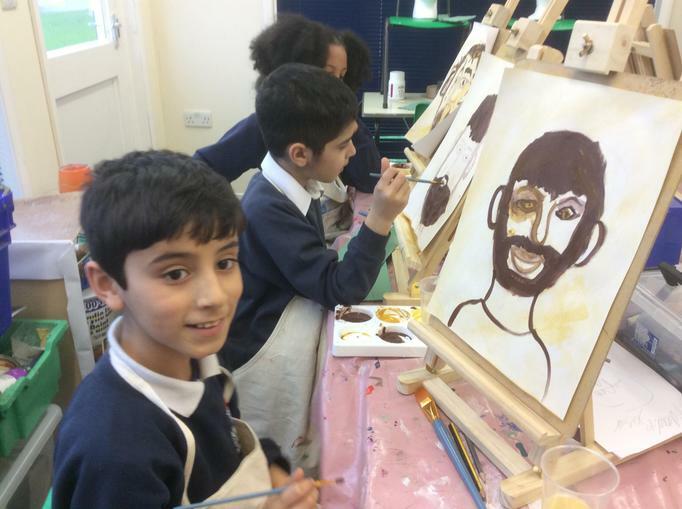 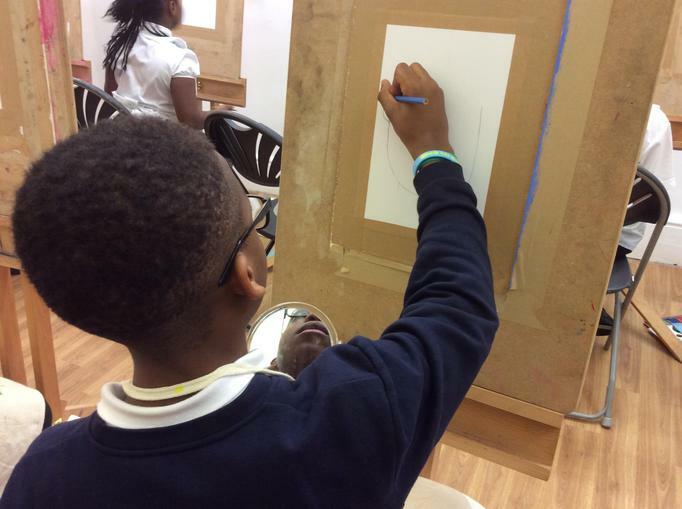 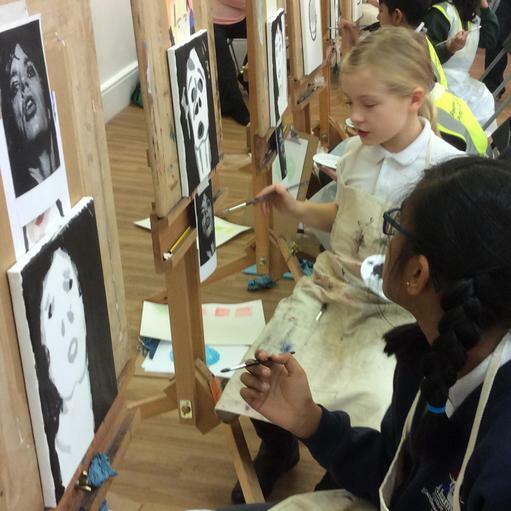 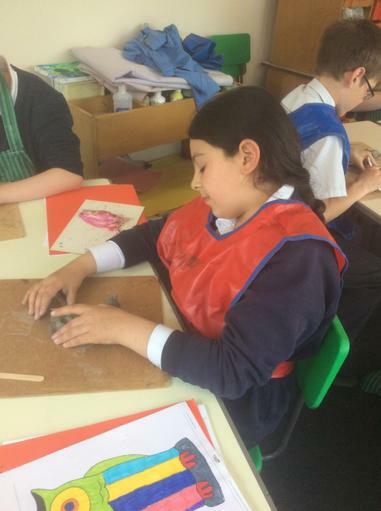 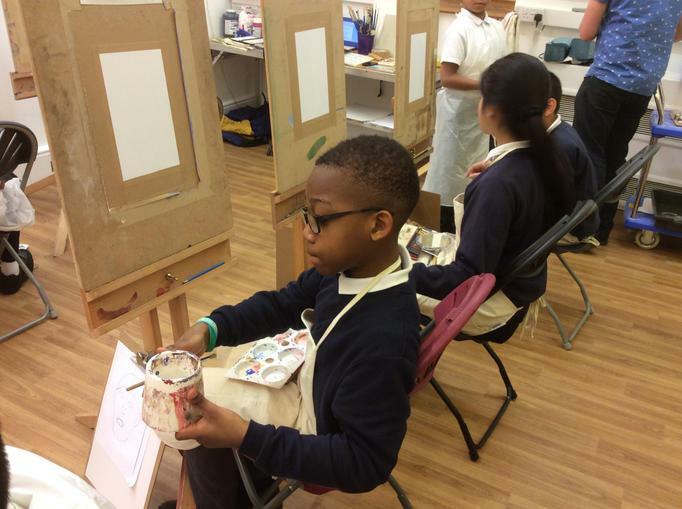 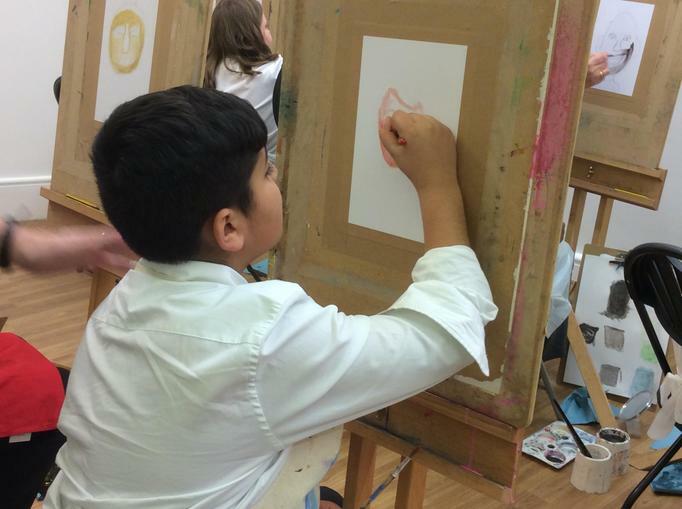 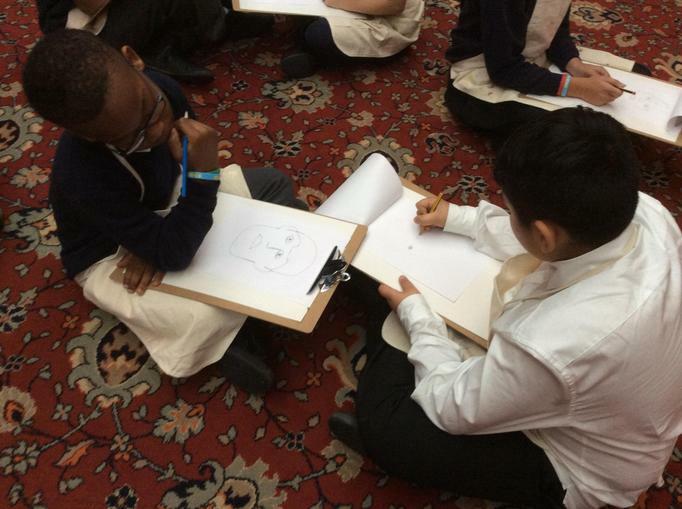 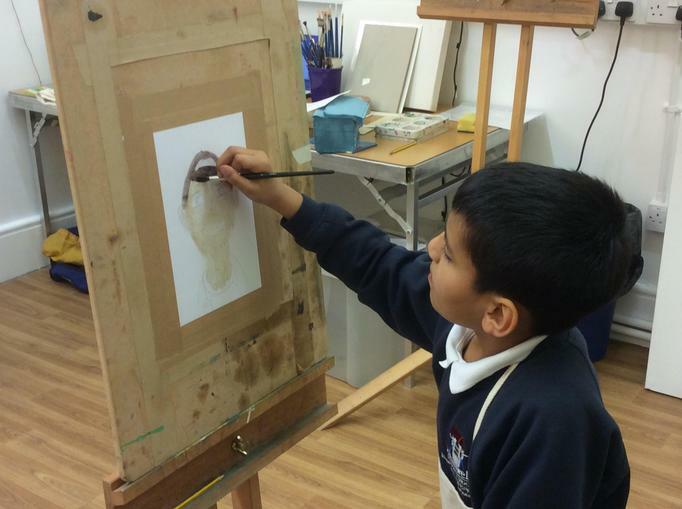 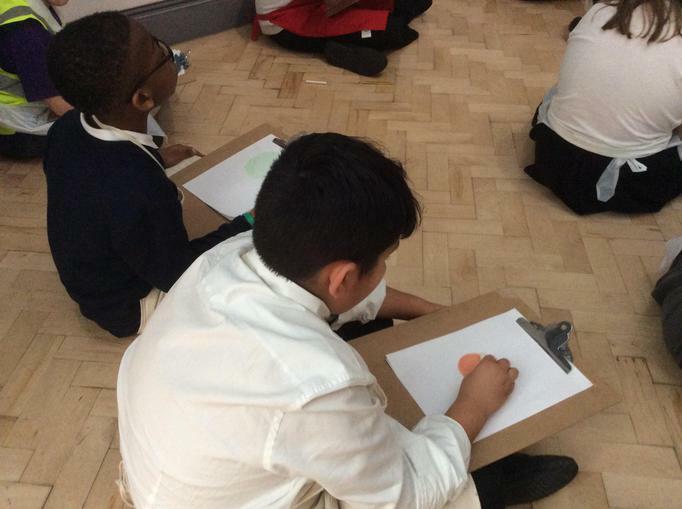 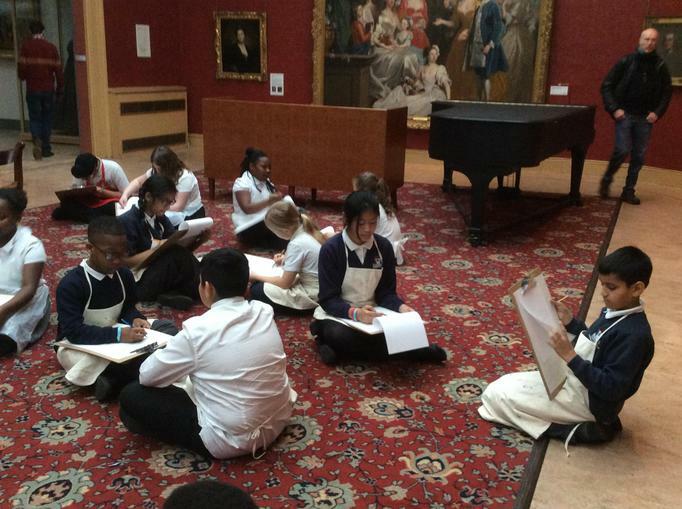 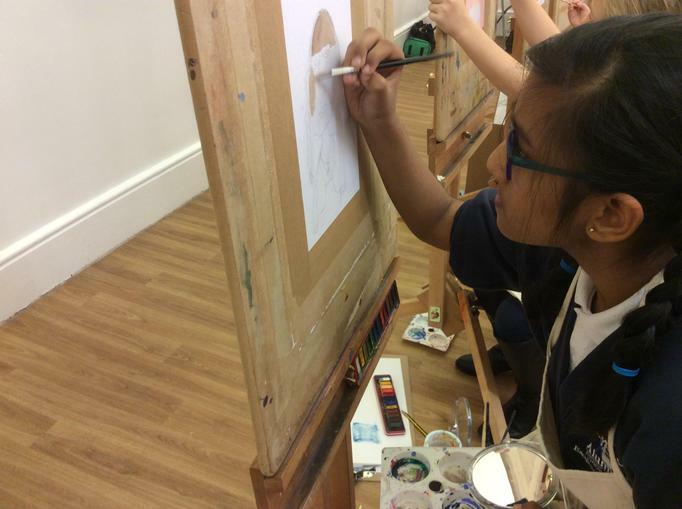 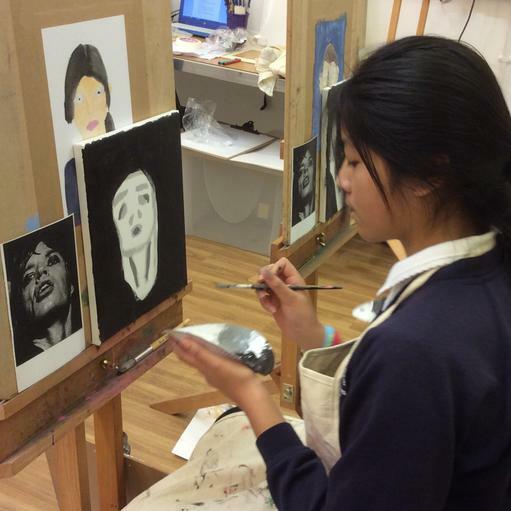 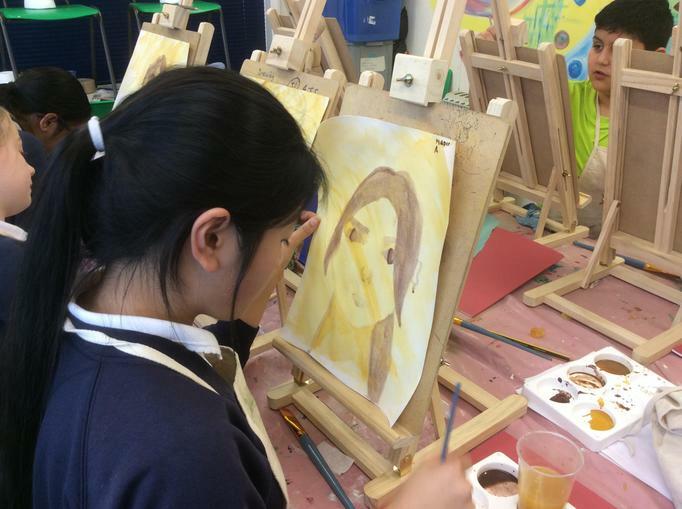 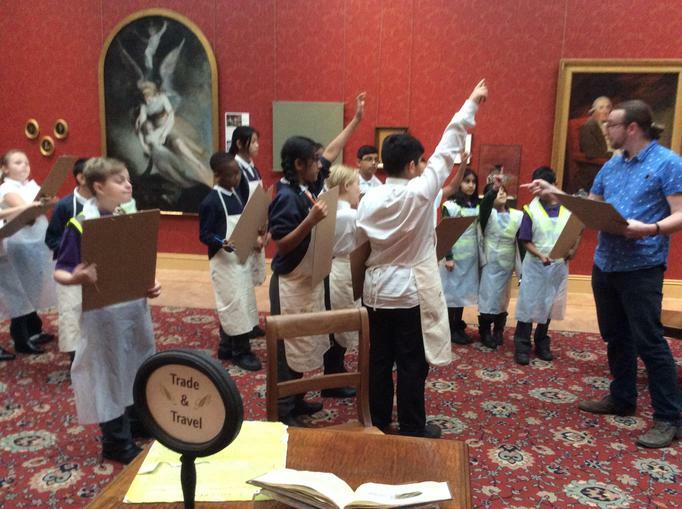 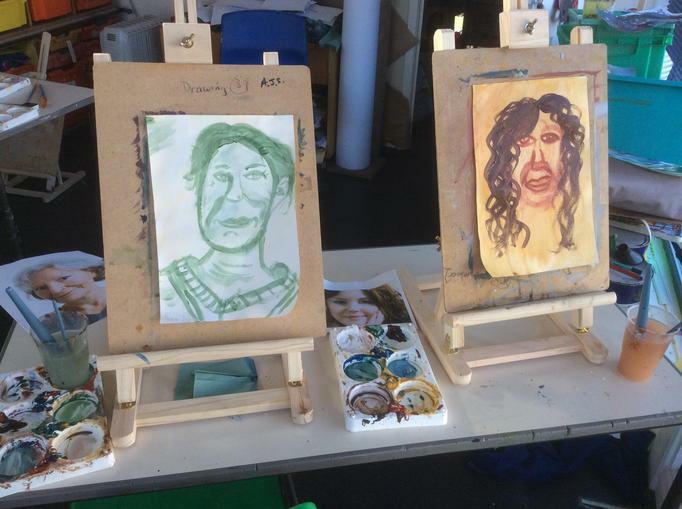 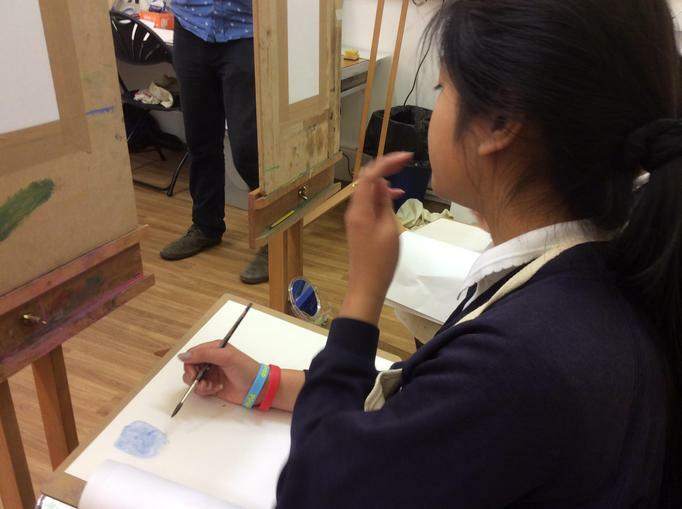 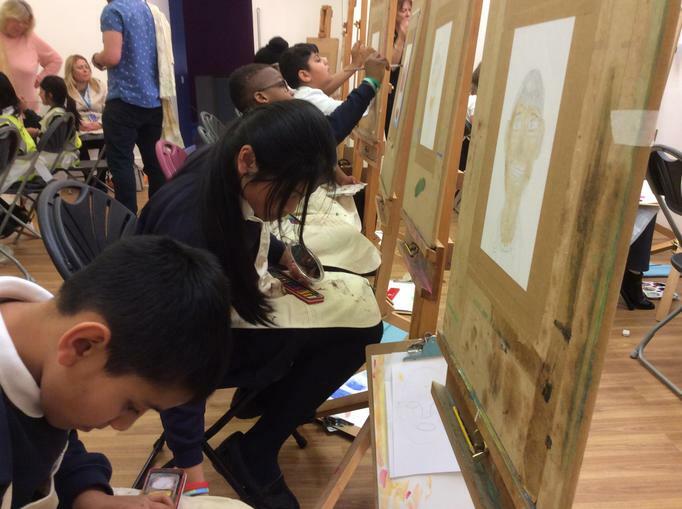 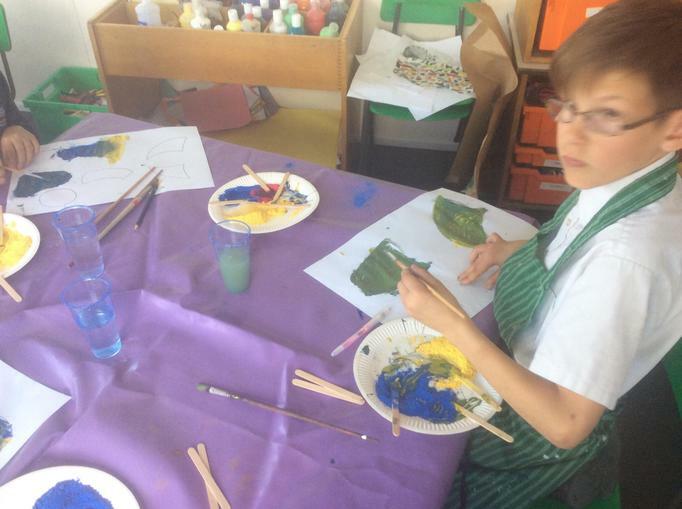 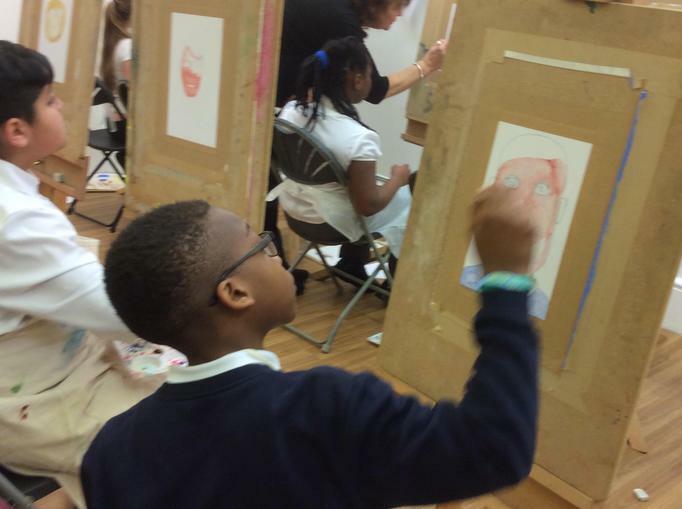 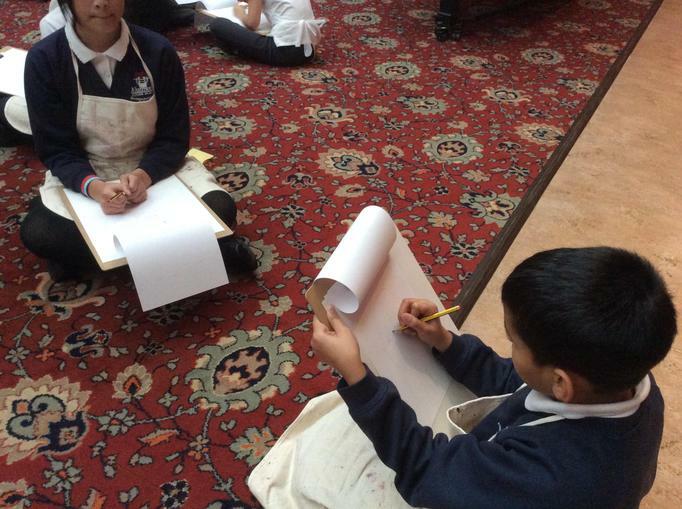 Over the last half term our artists have been very busy practicing their portrait skills. 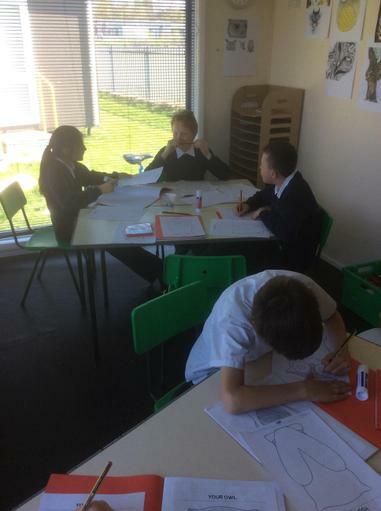 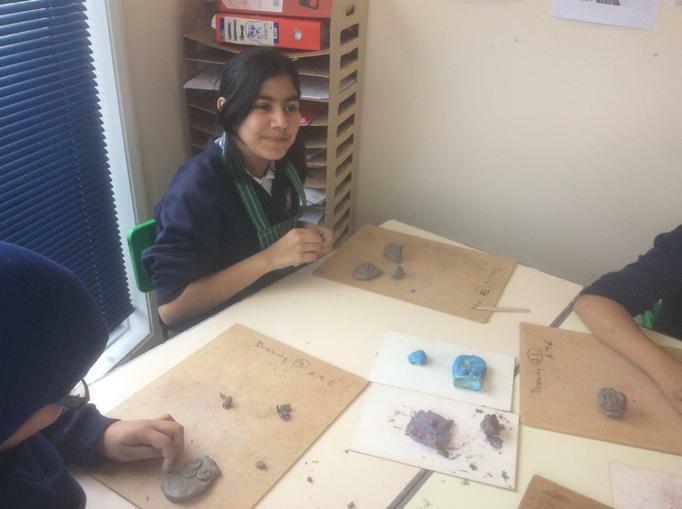 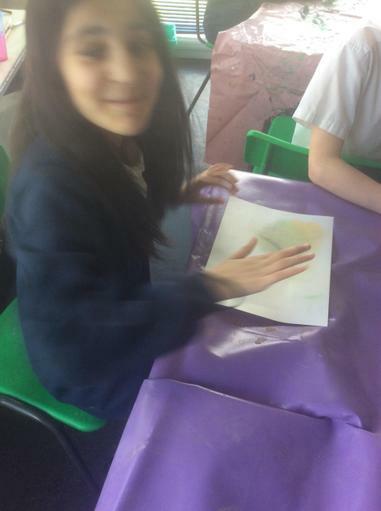 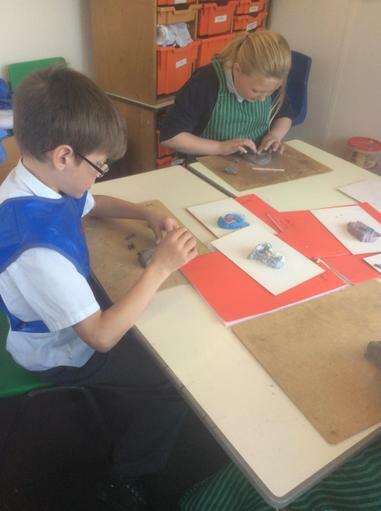 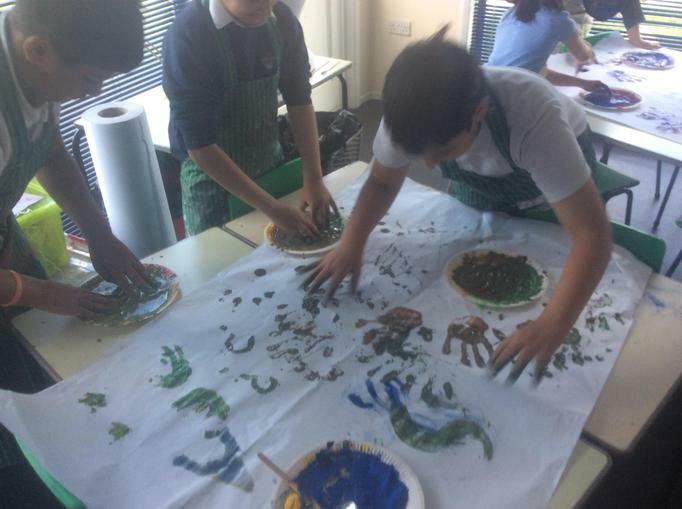 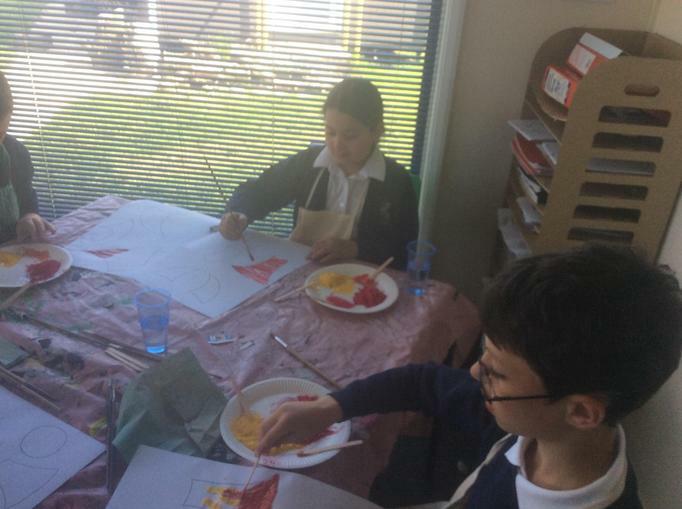 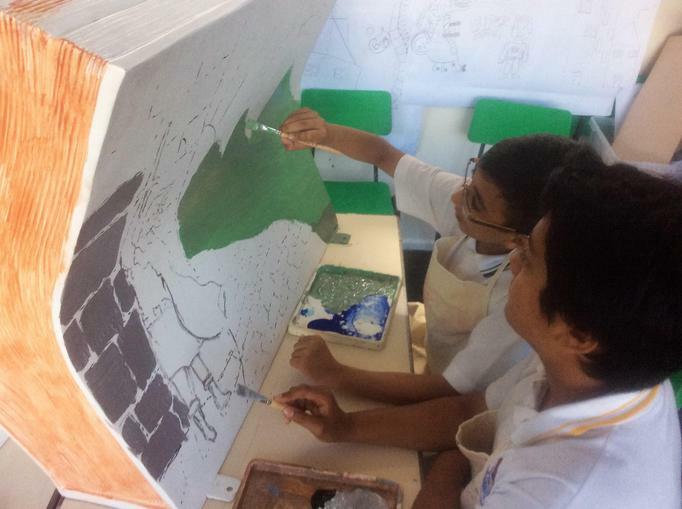 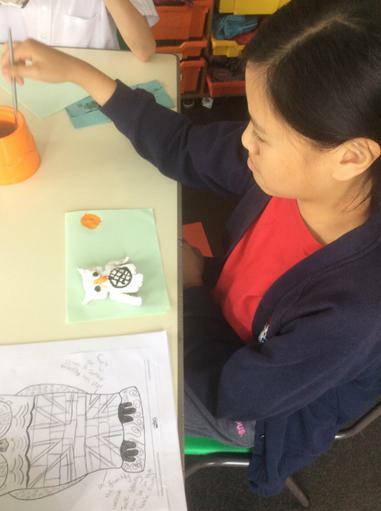 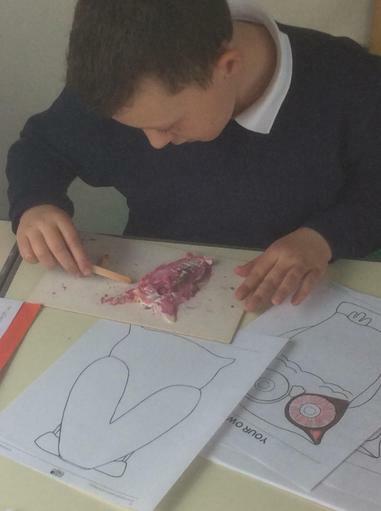 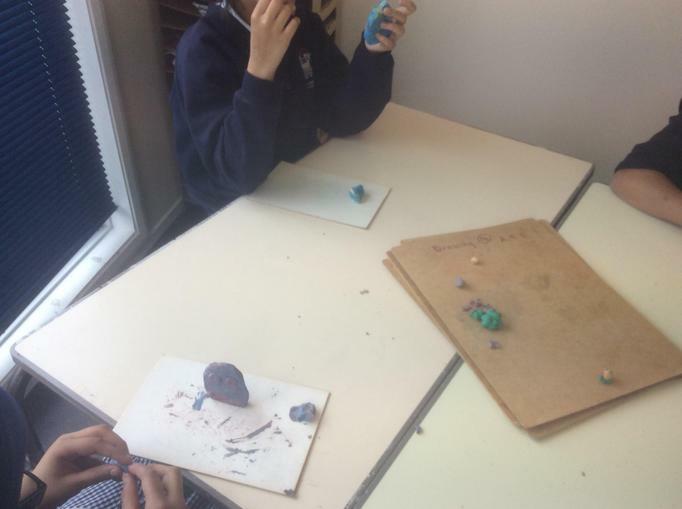 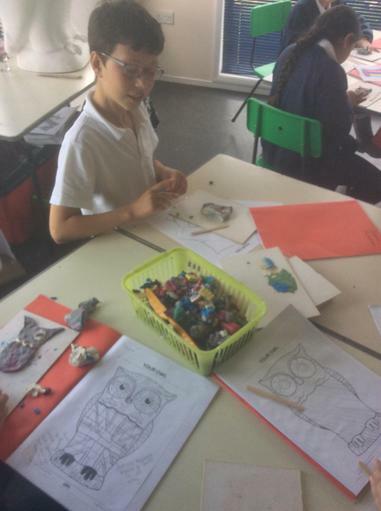 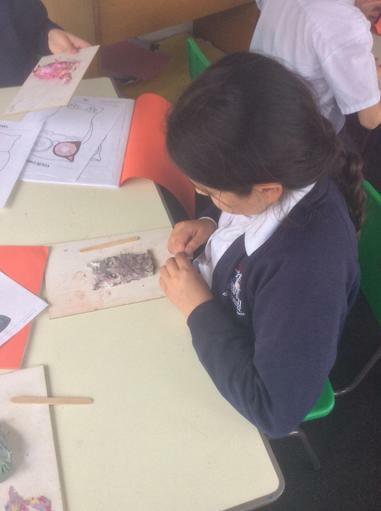 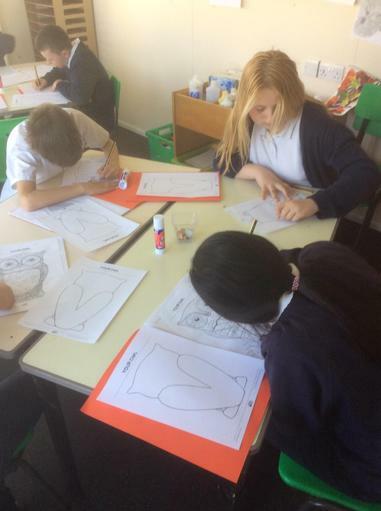 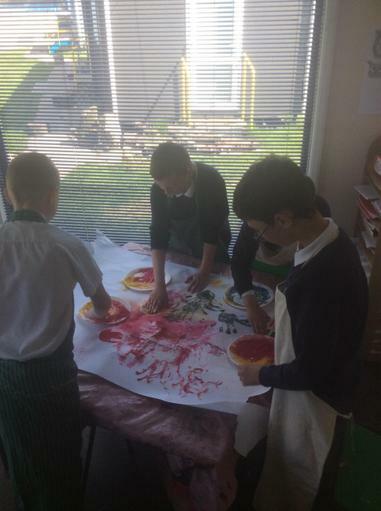 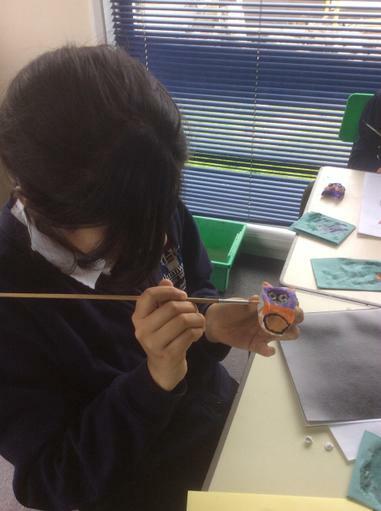 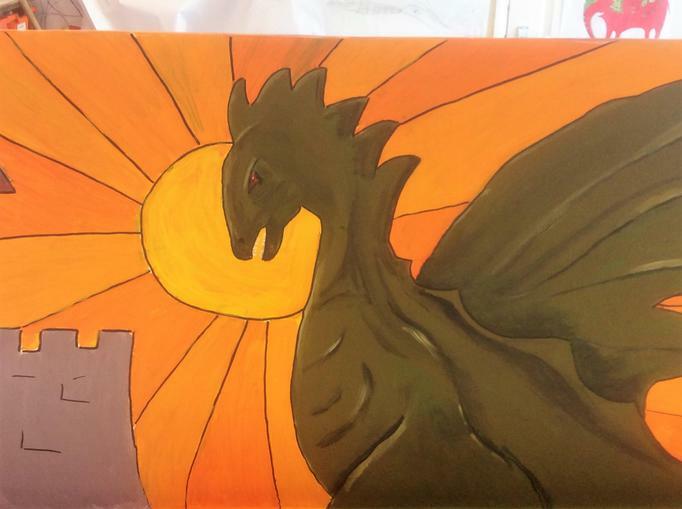 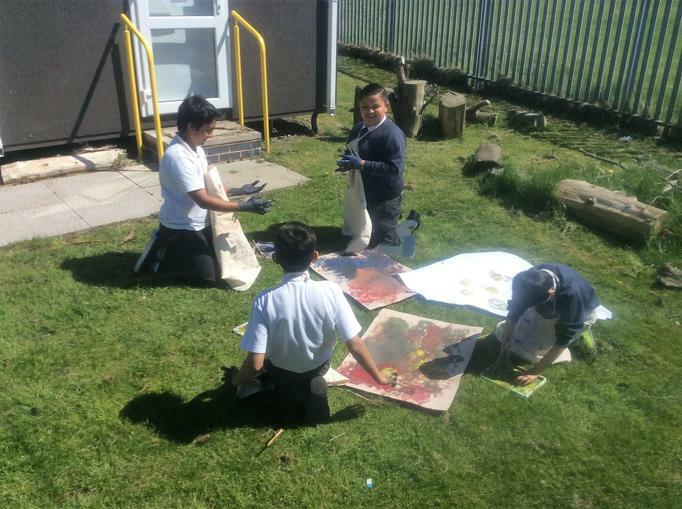 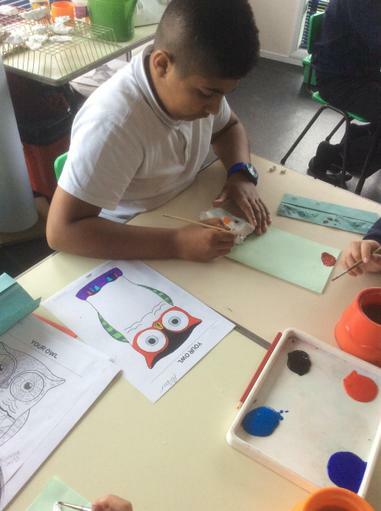 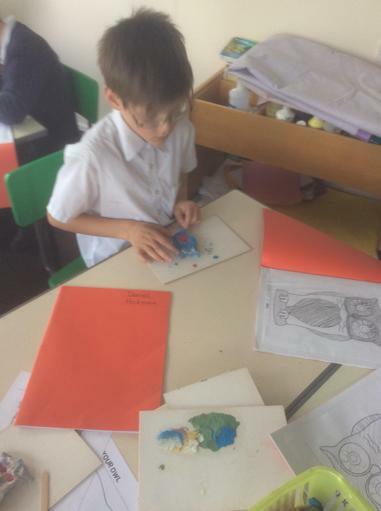 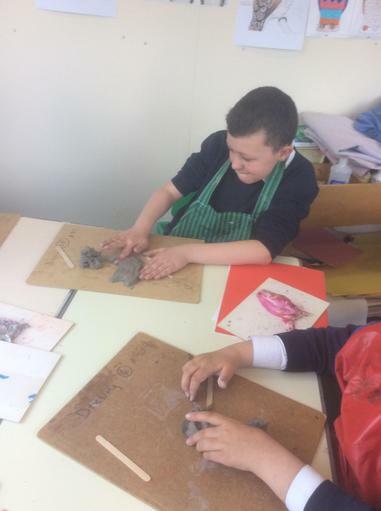 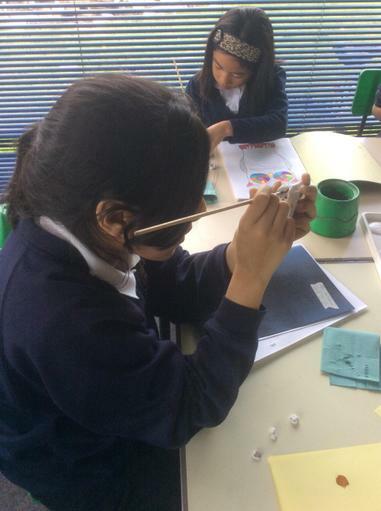 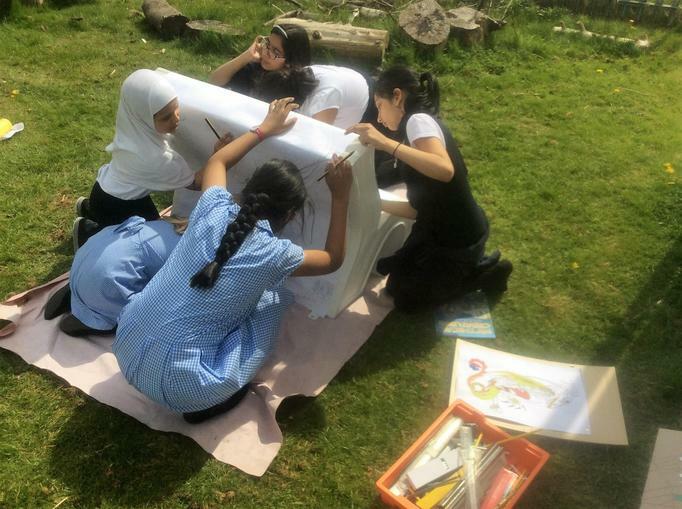 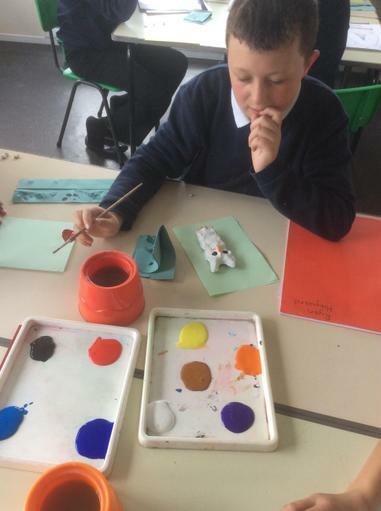 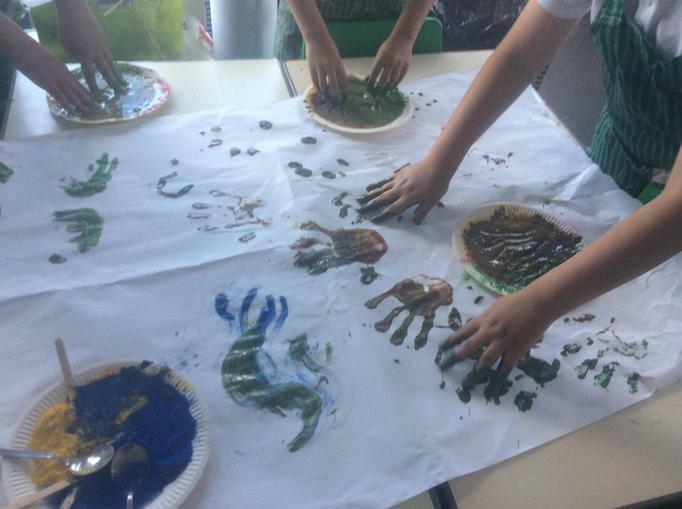 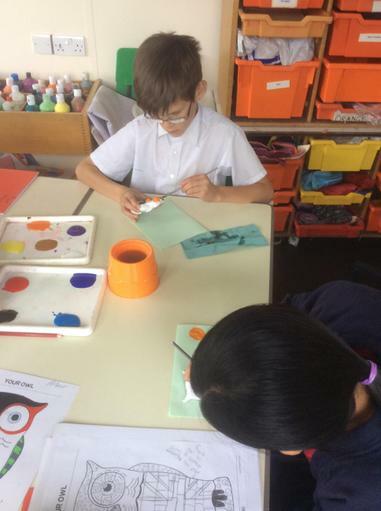 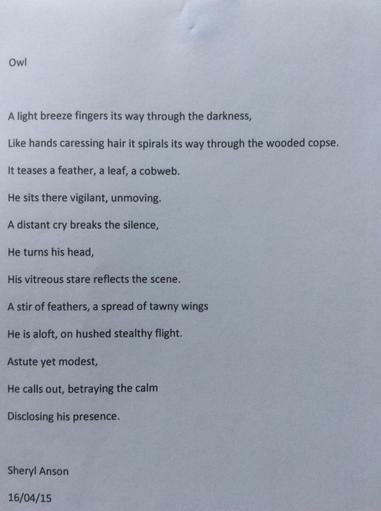 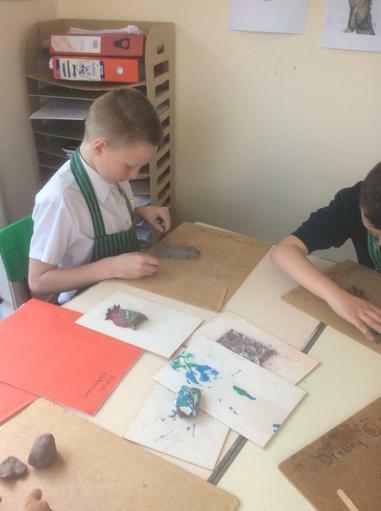 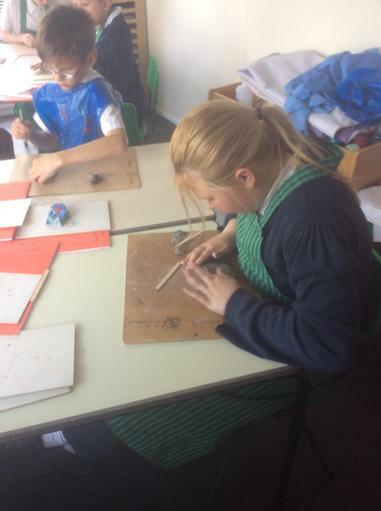 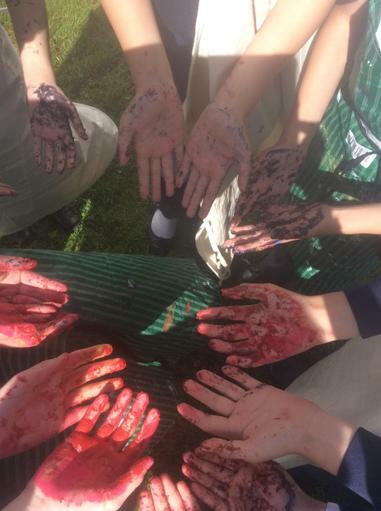 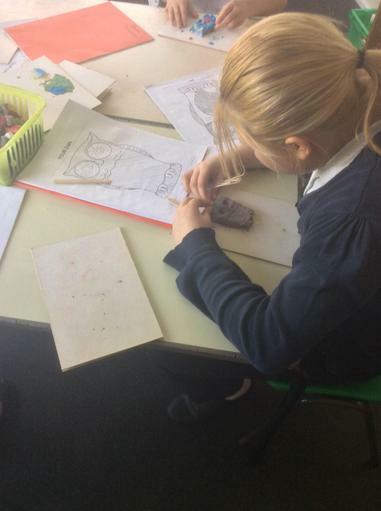 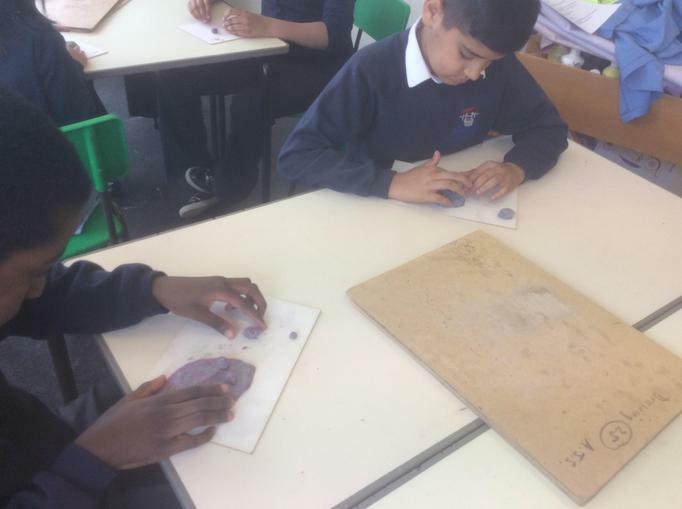 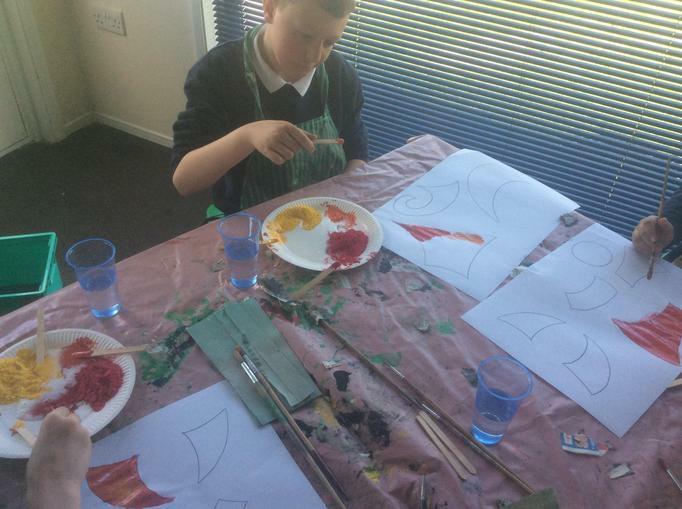 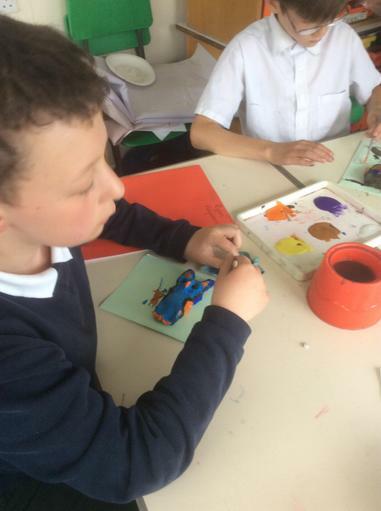 They looked at form, proportion, view, light and shadow to produce some amazing pieces. 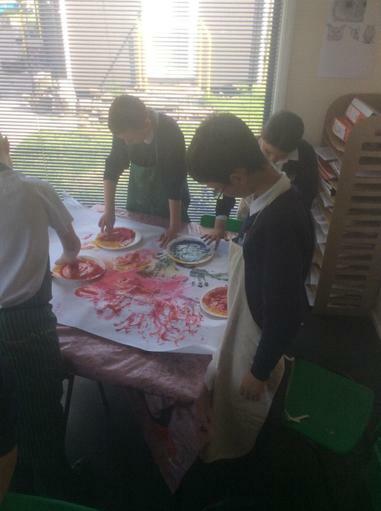 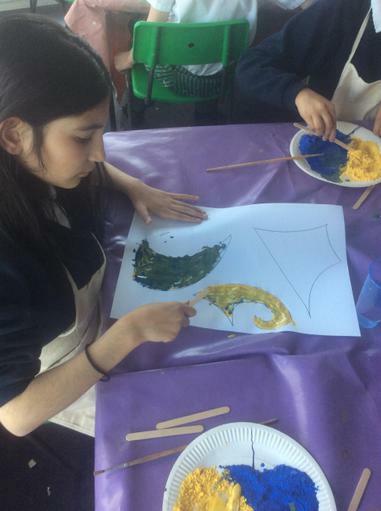 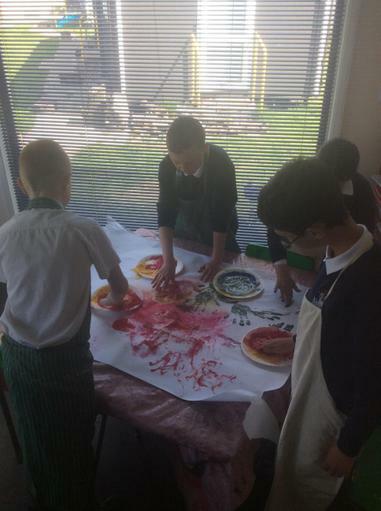 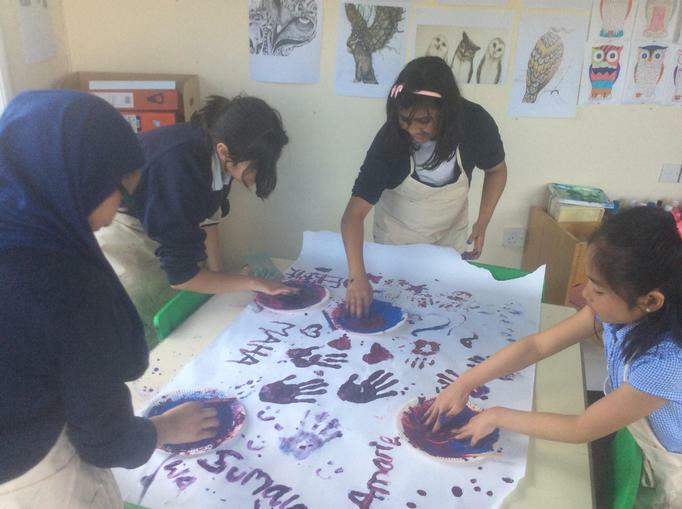 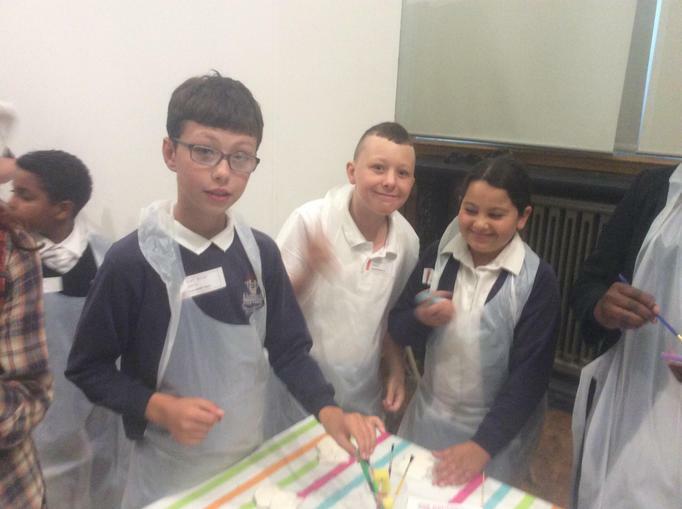 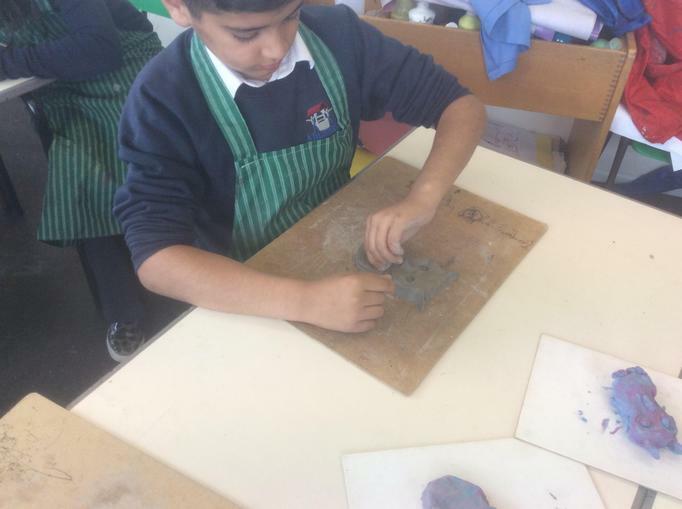 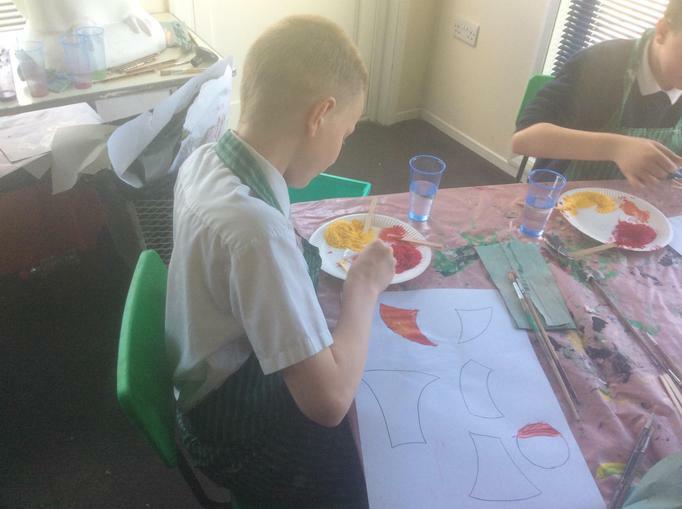 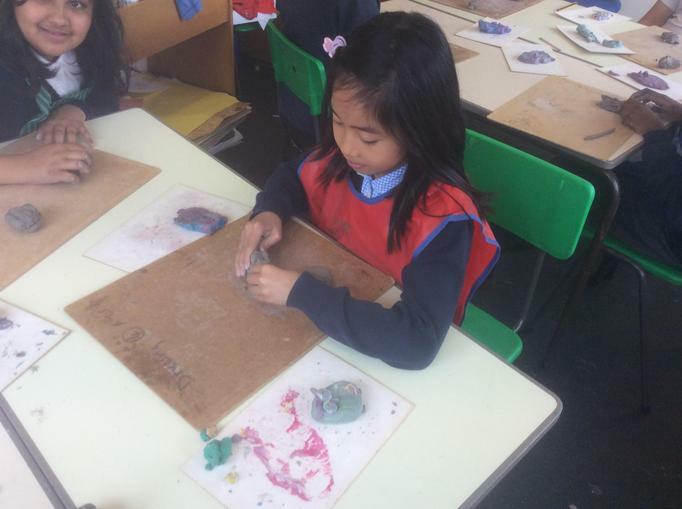 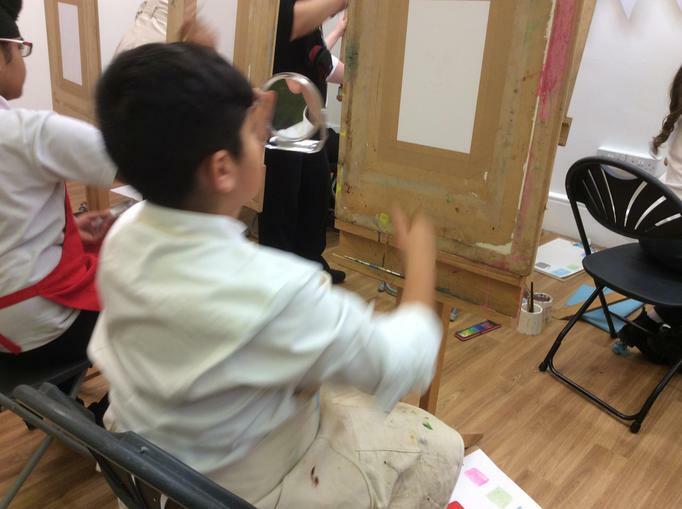 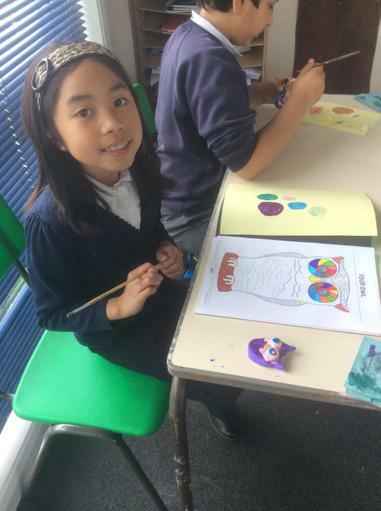 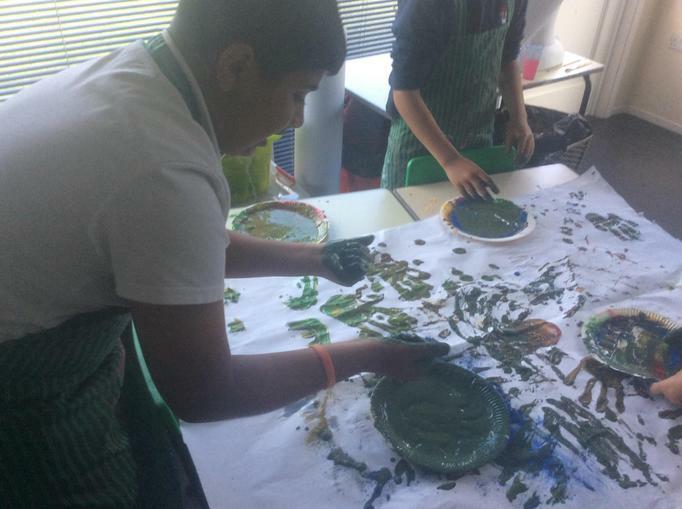 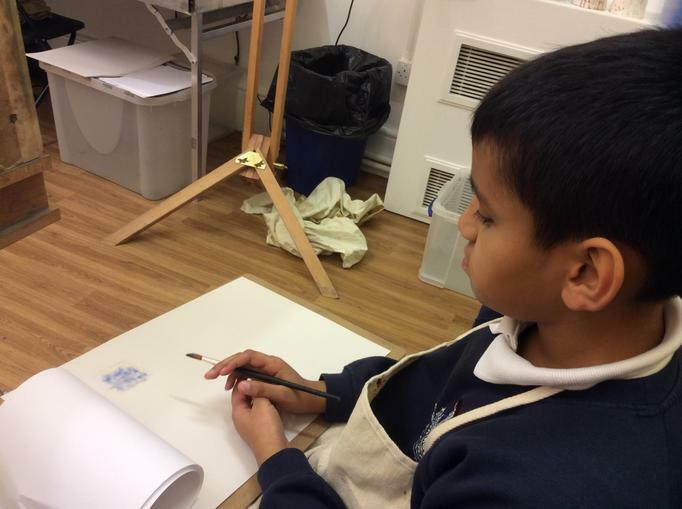 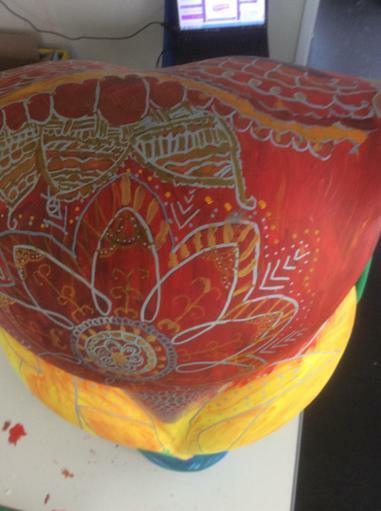 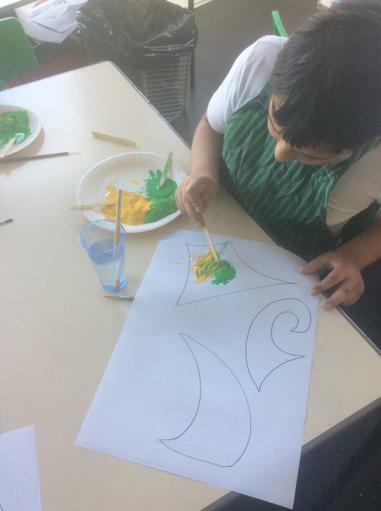 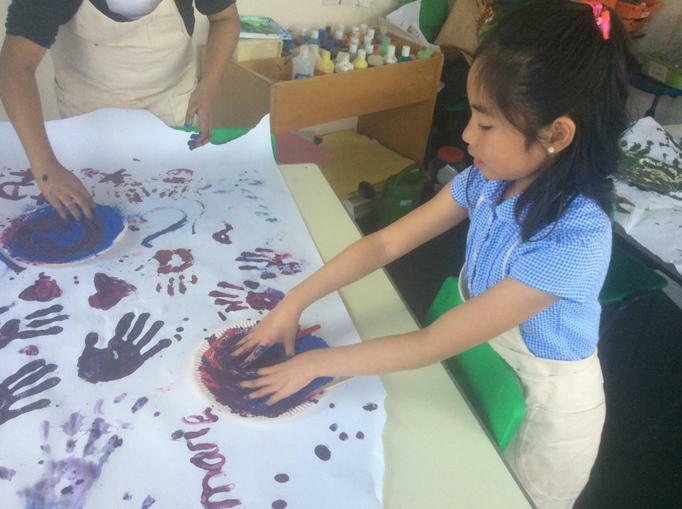 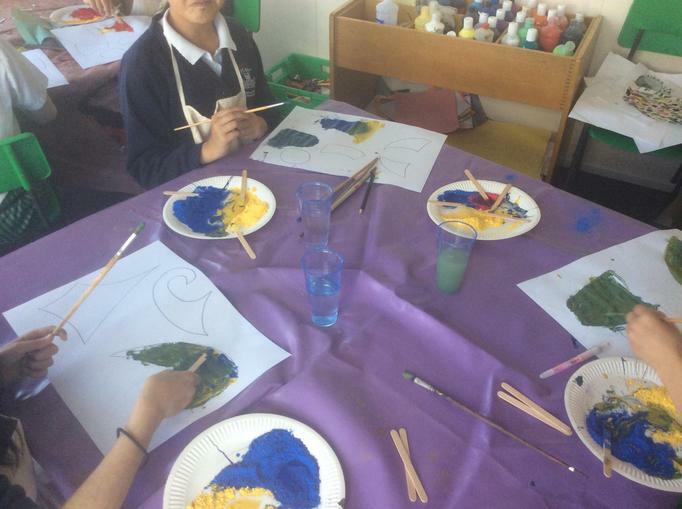 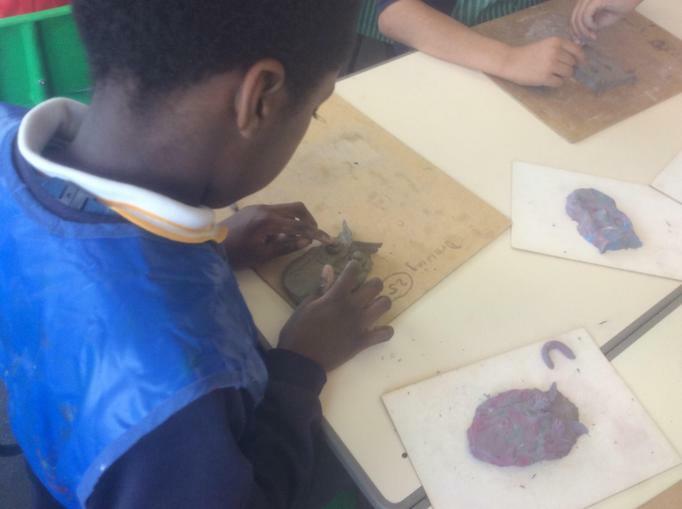 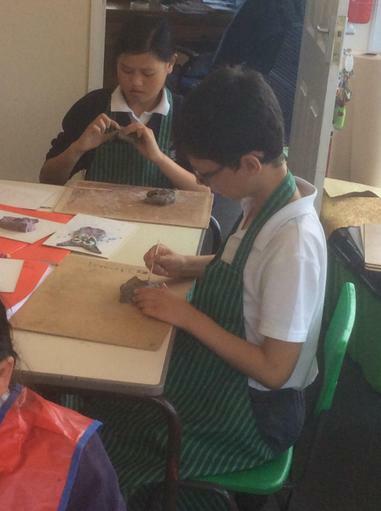 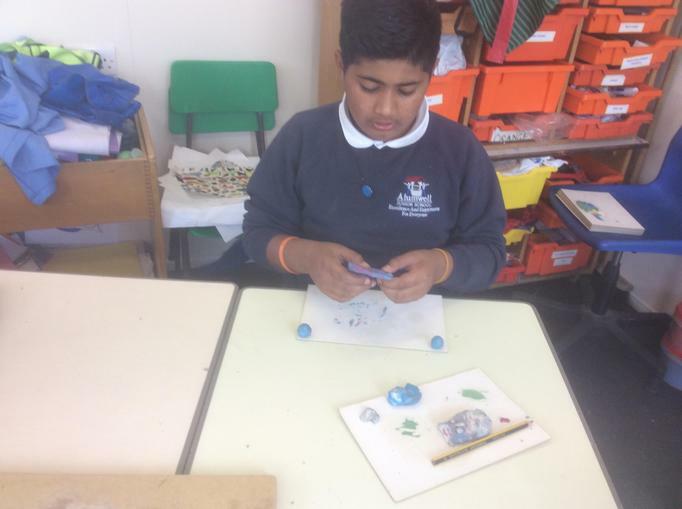 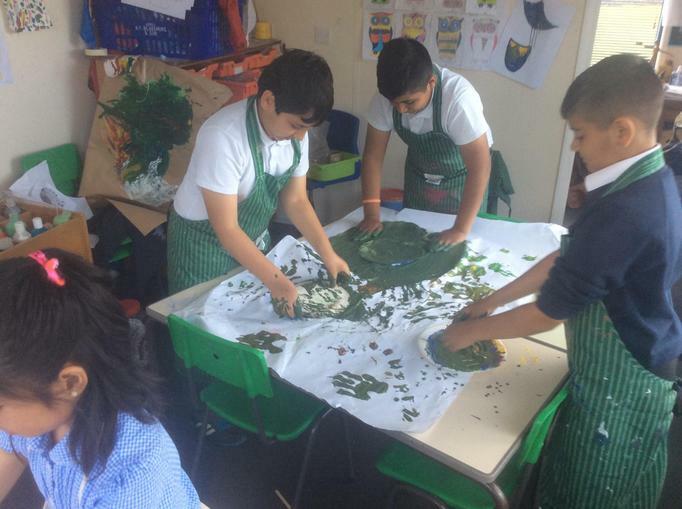 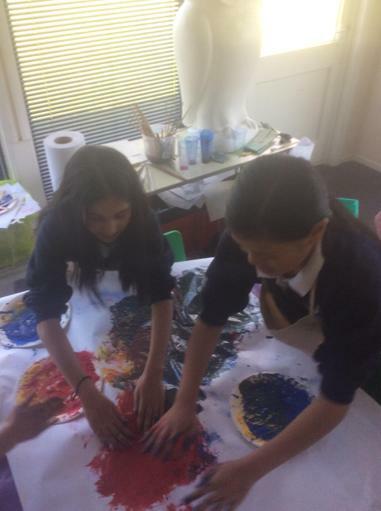 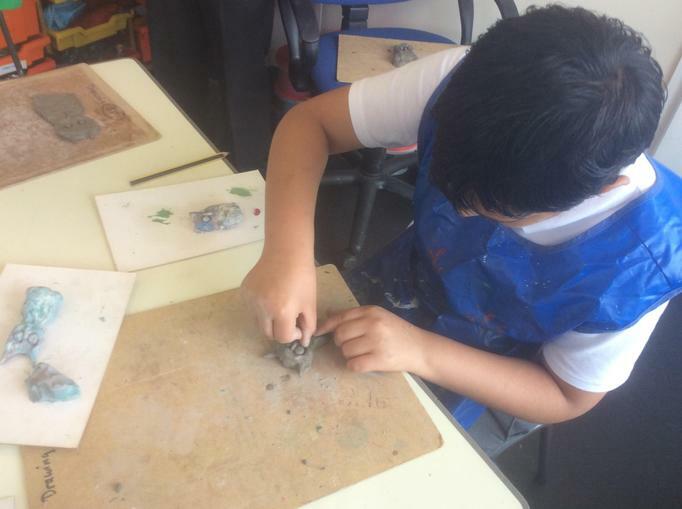 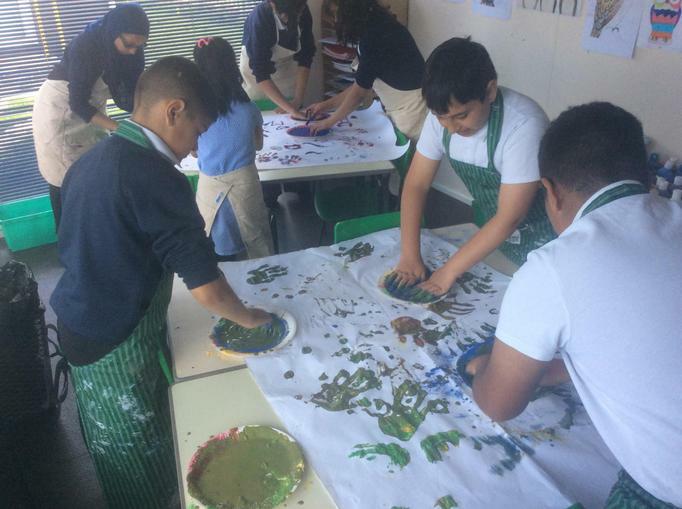 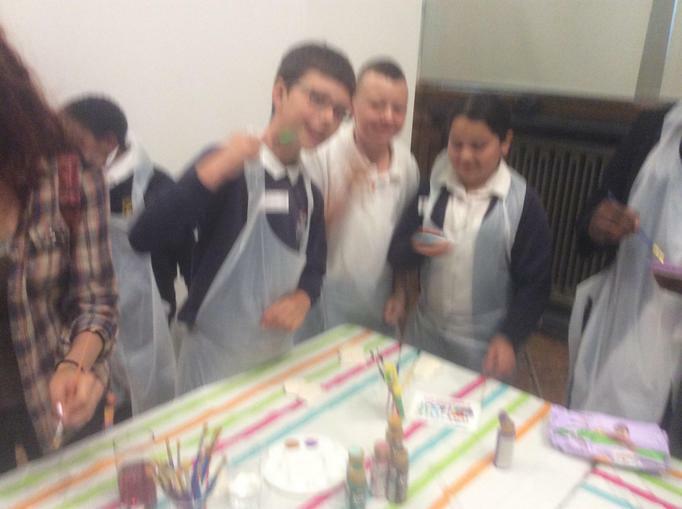 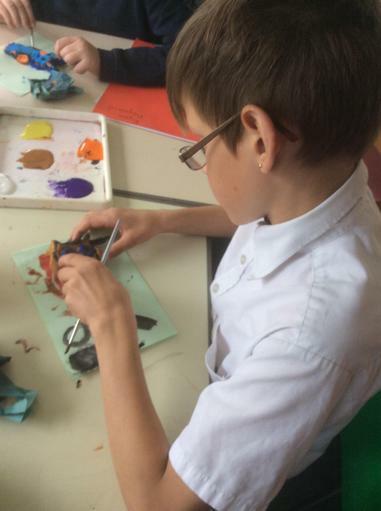 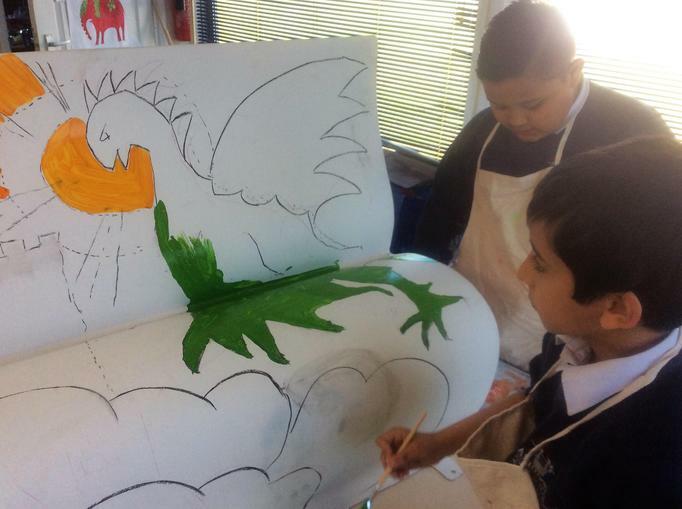 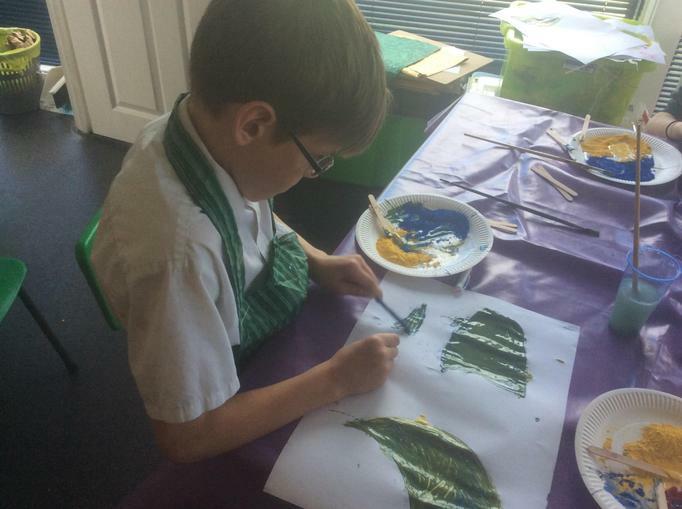 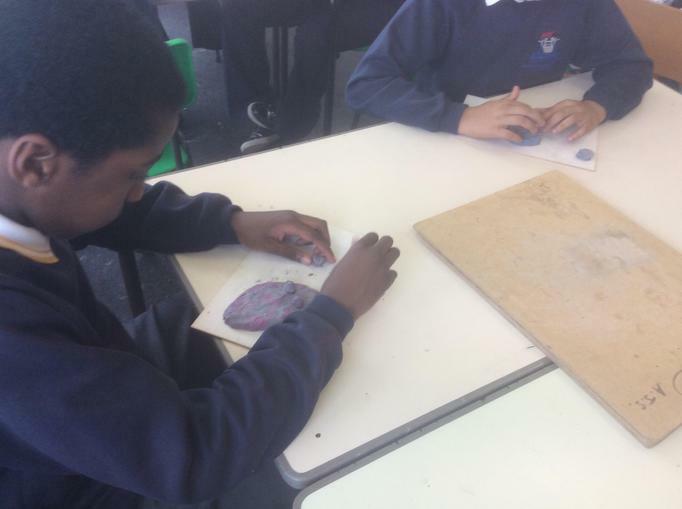 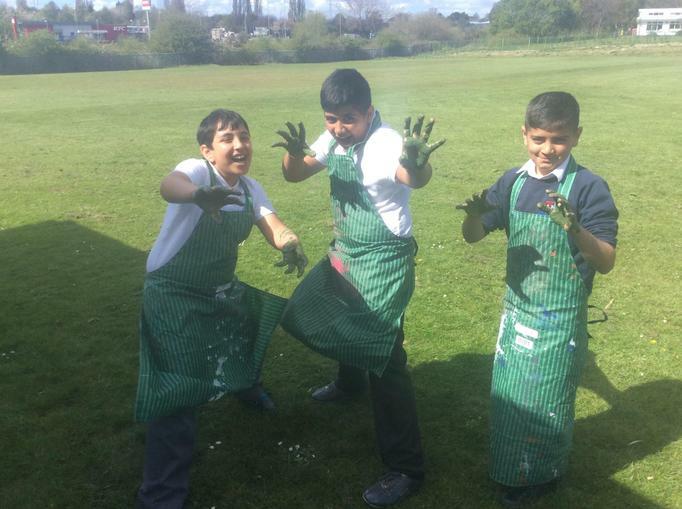 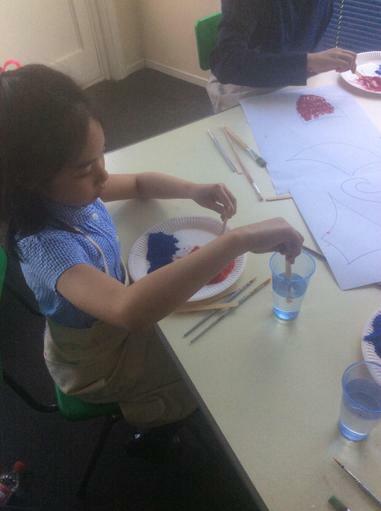 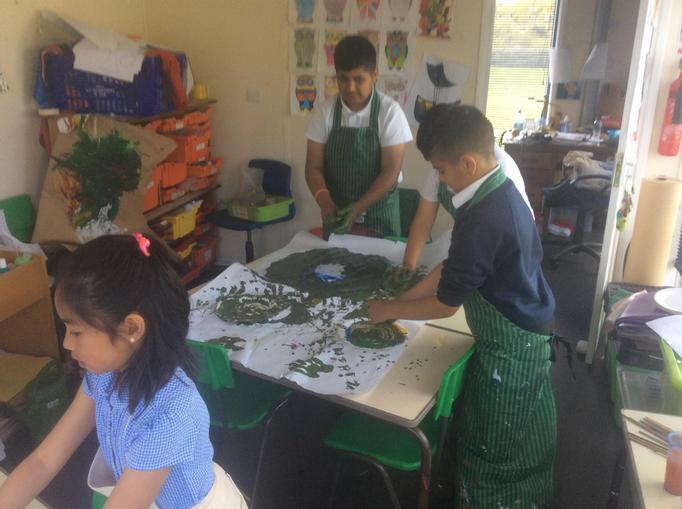 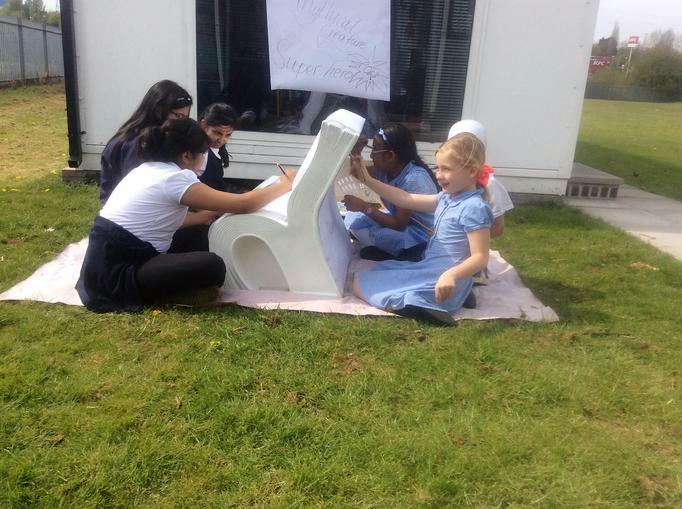 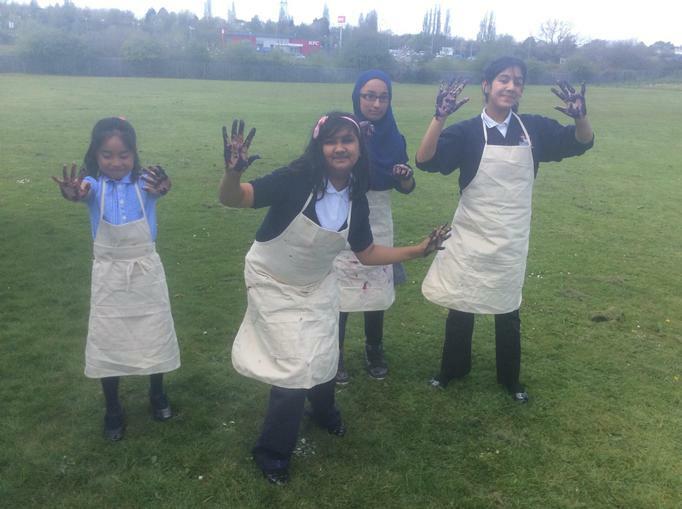 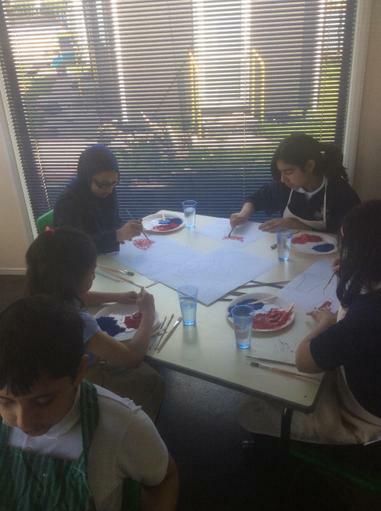 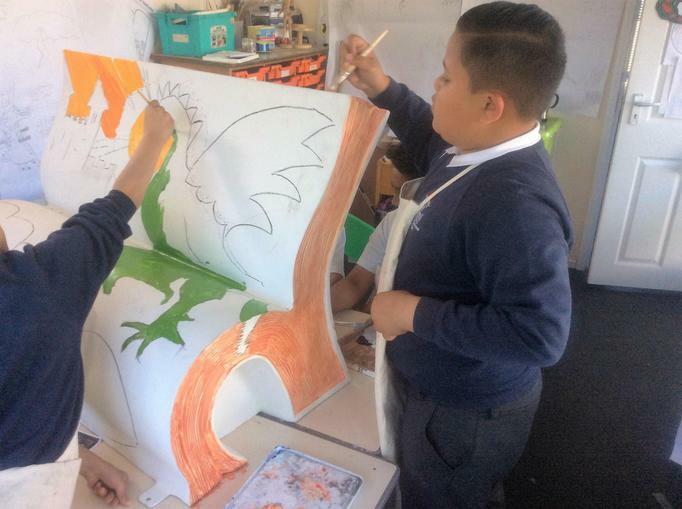 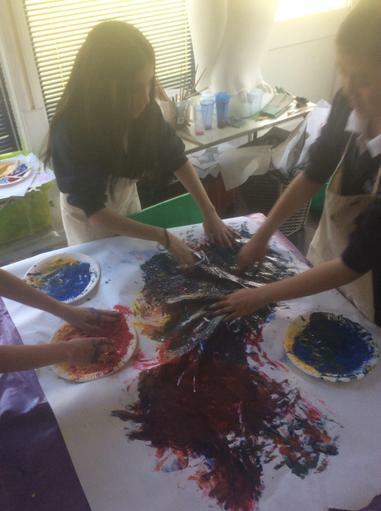 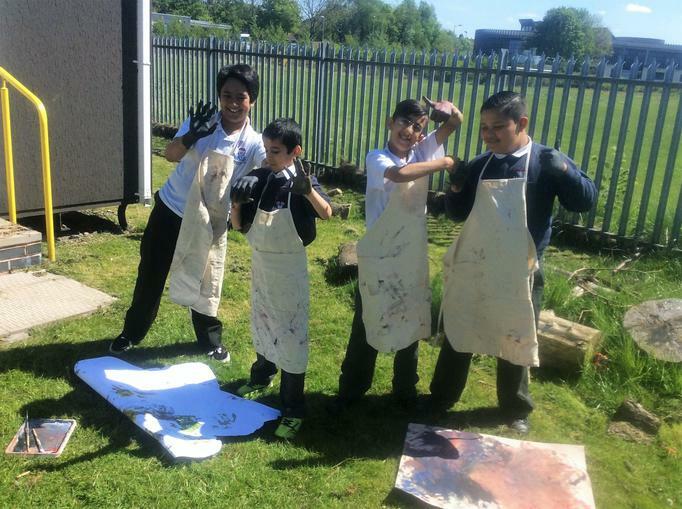 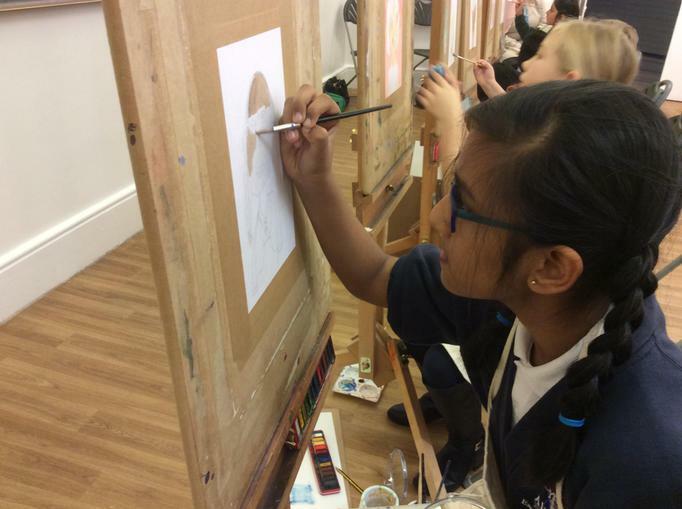 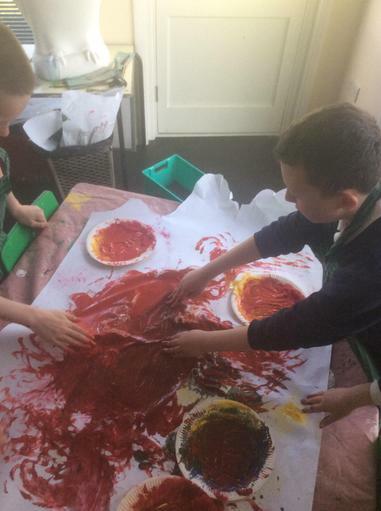 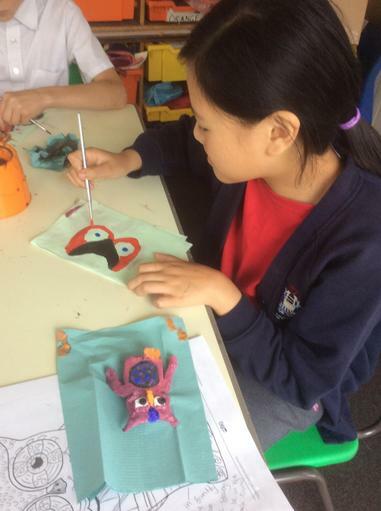 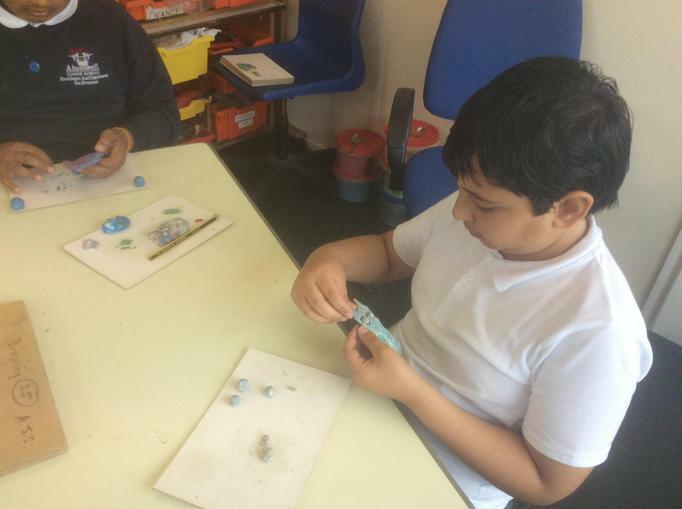 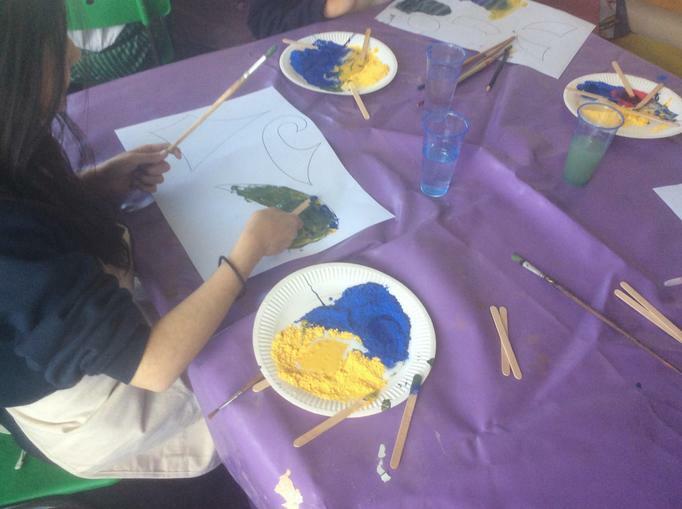 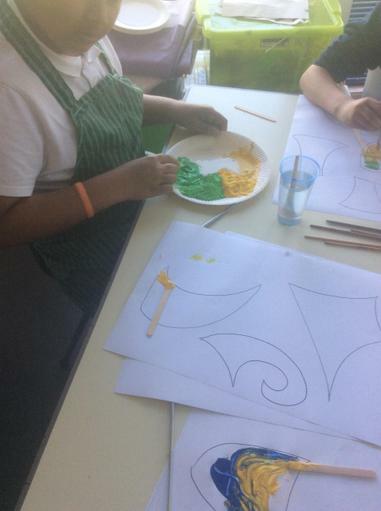 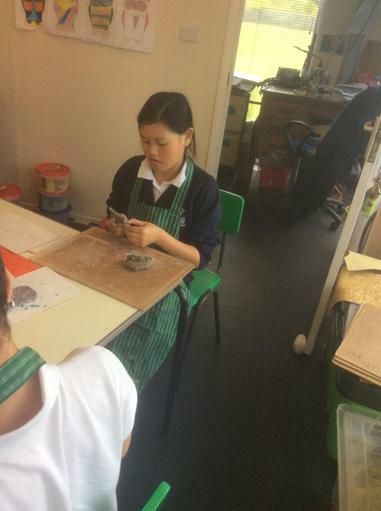 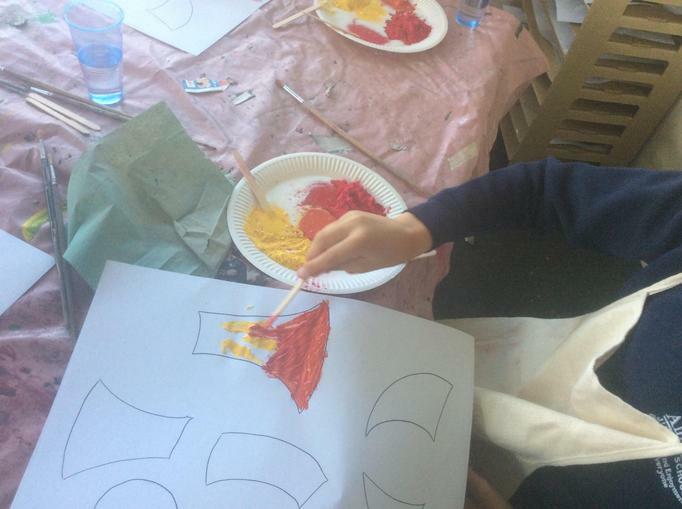 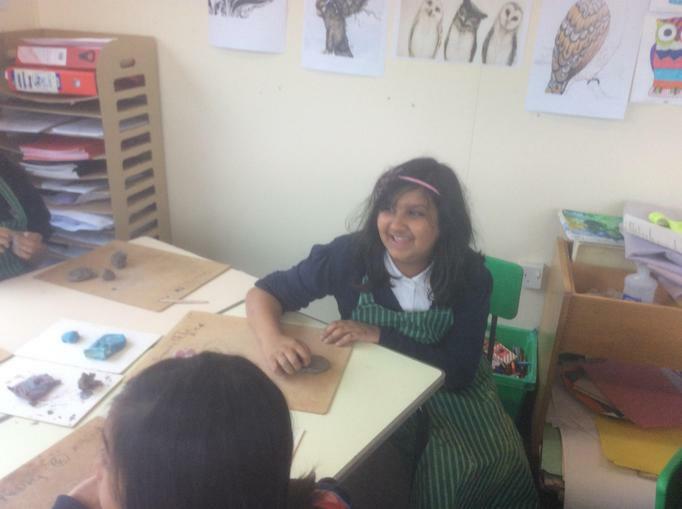 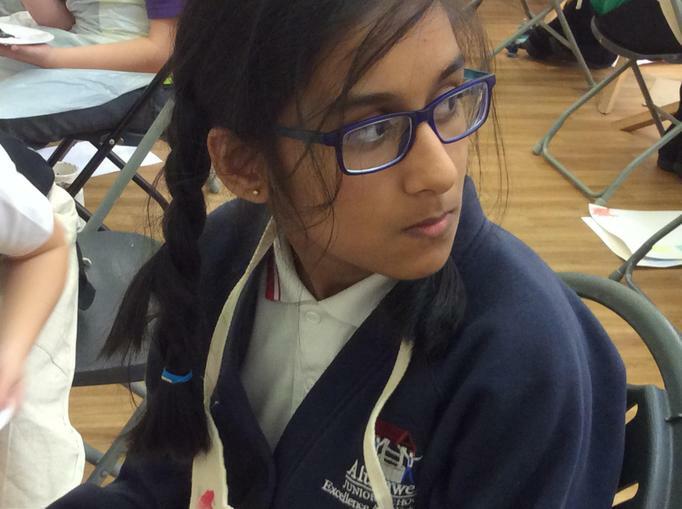 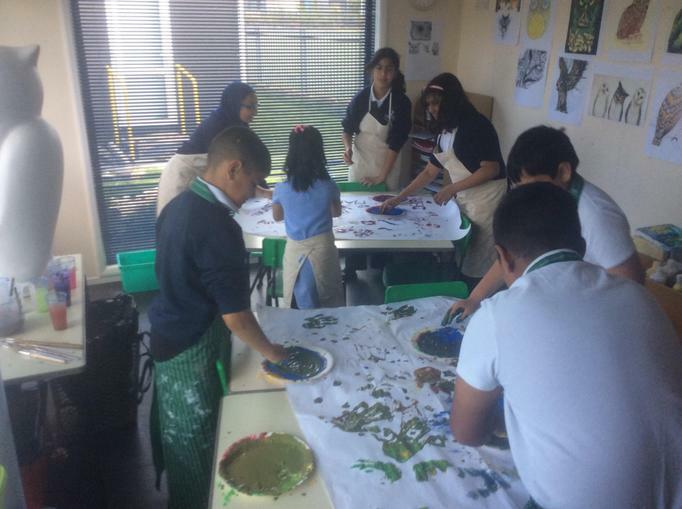 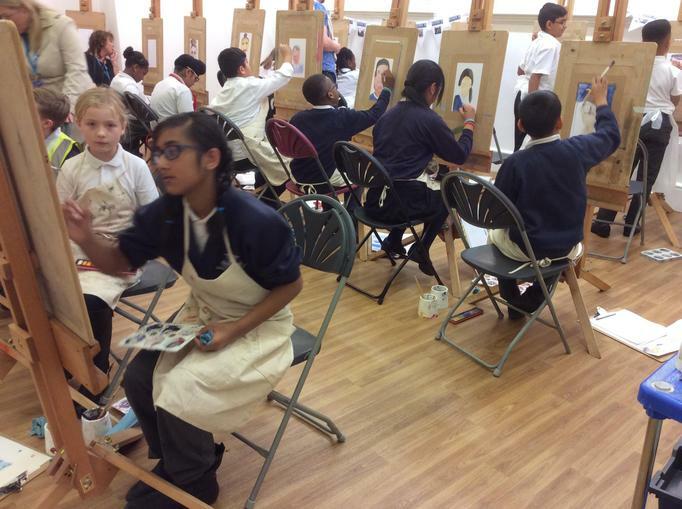 Keep looking in for updates on all our artists and all that's going on Arty at Alumwell Art Extra. 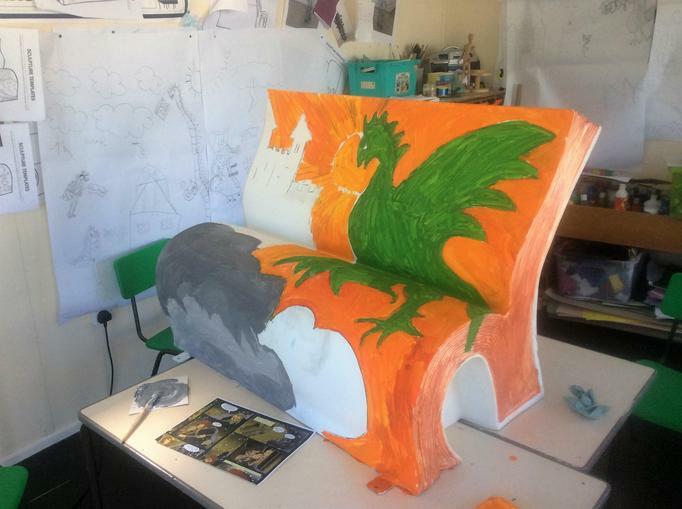 Another exciting project for a new set of artists was completed in summer of 2016. 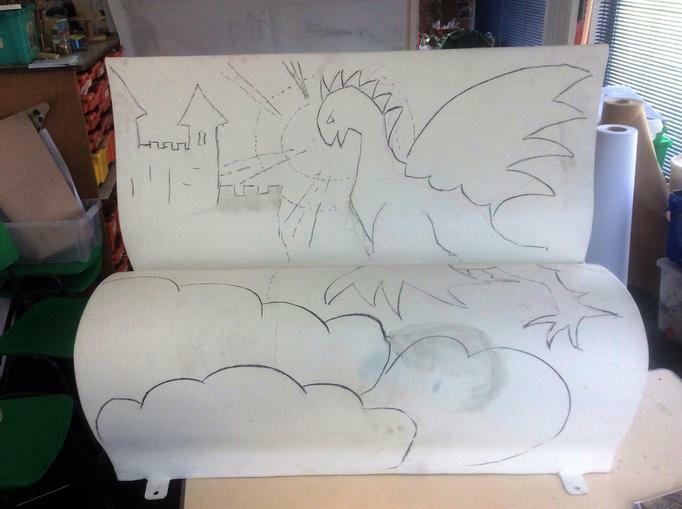 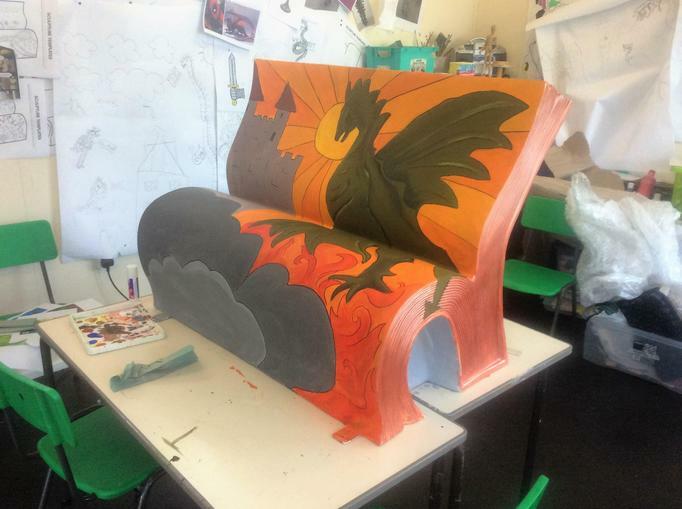 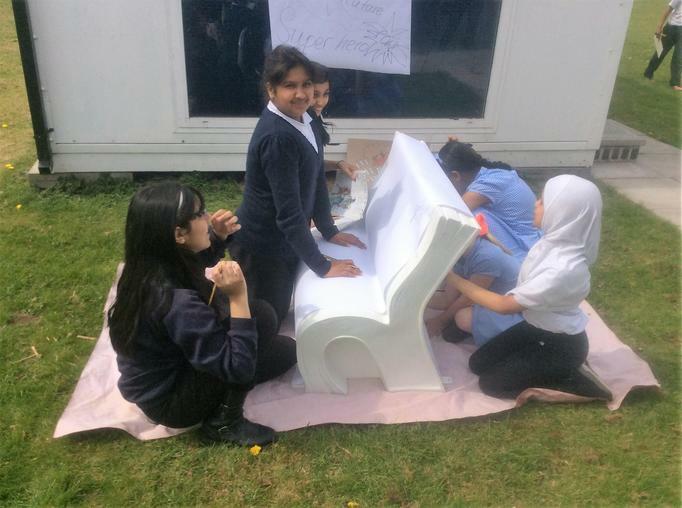 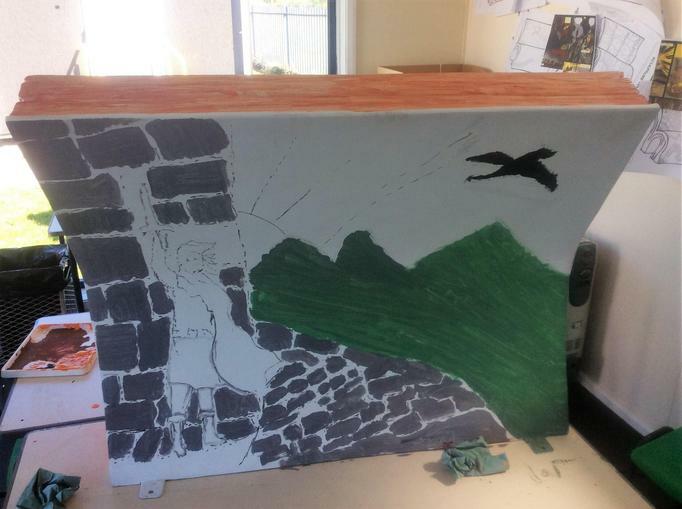 Inspired by favourite themes of heroes and fantasy two groups worked to create this wonderful bench that is now on display in the front entrance. 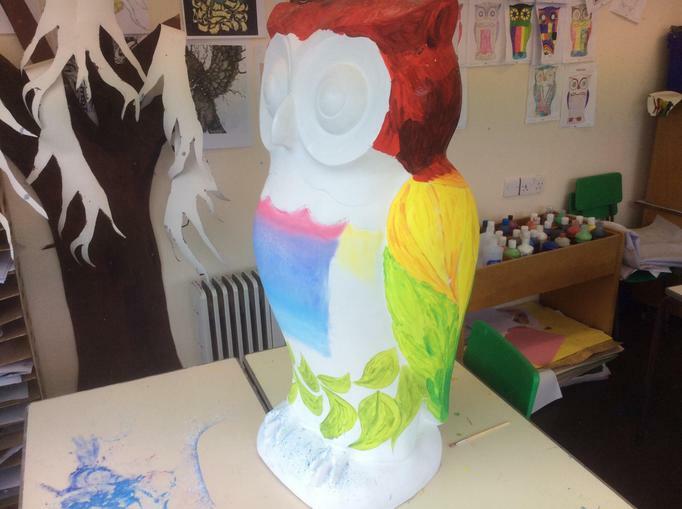 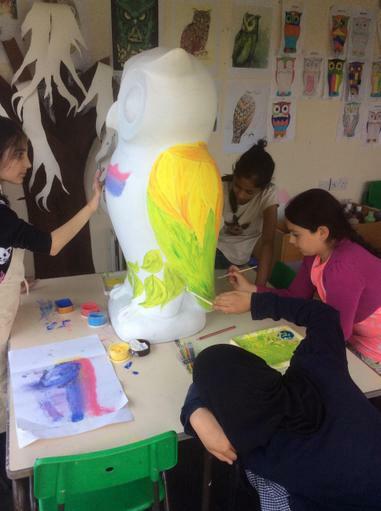 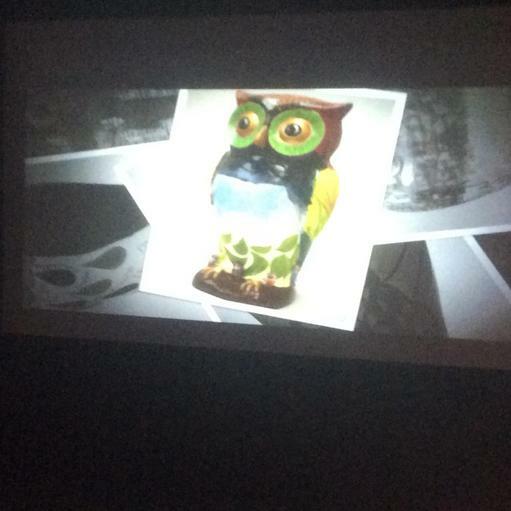 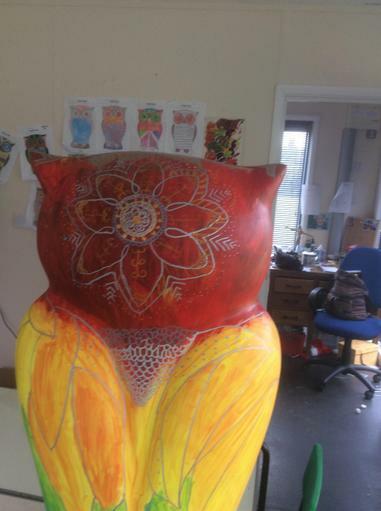 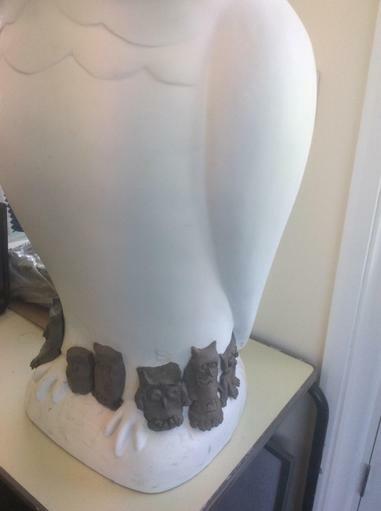 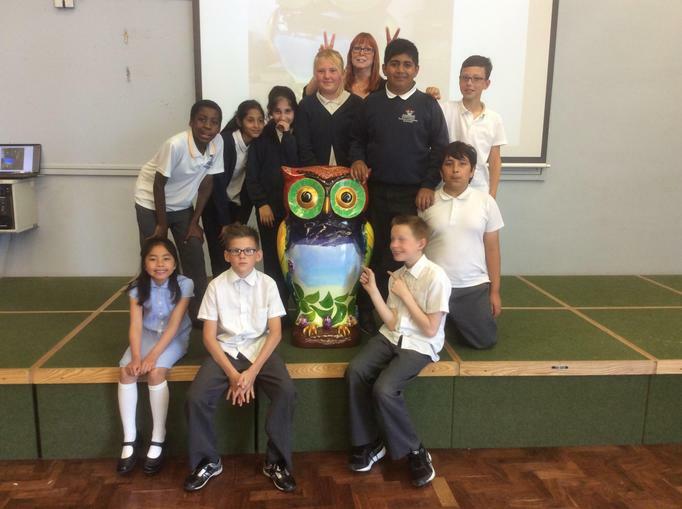 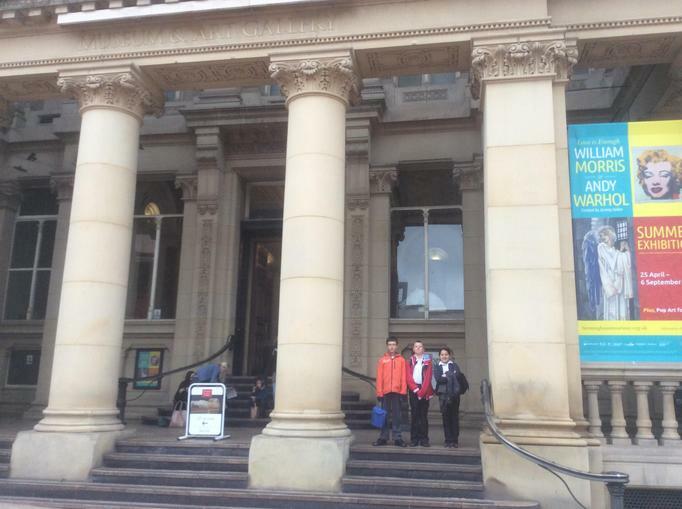 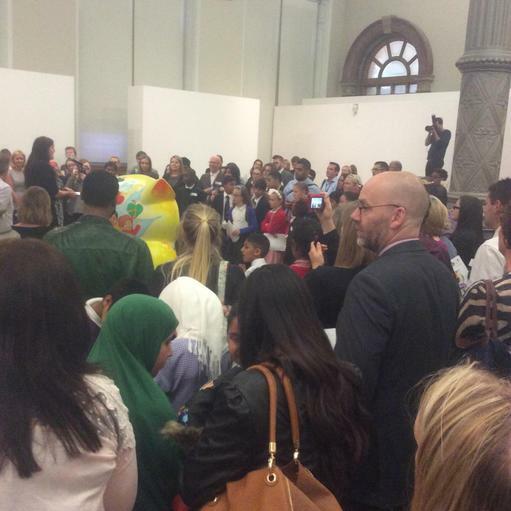 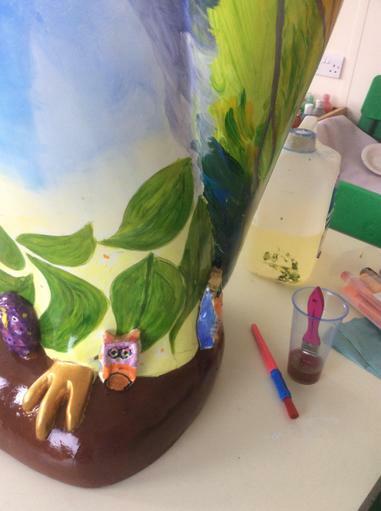 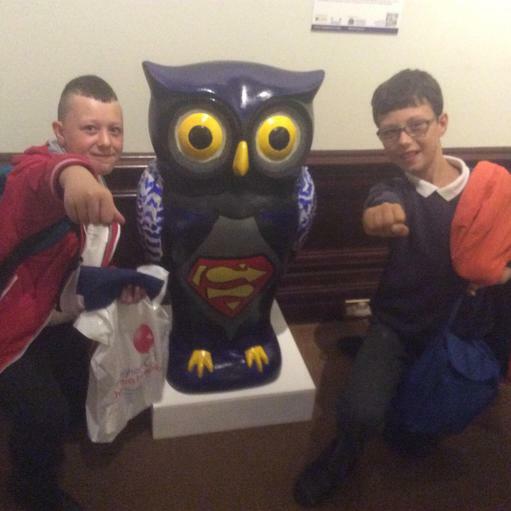 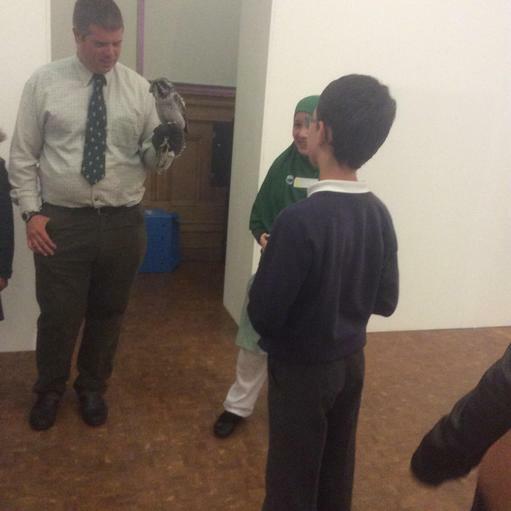 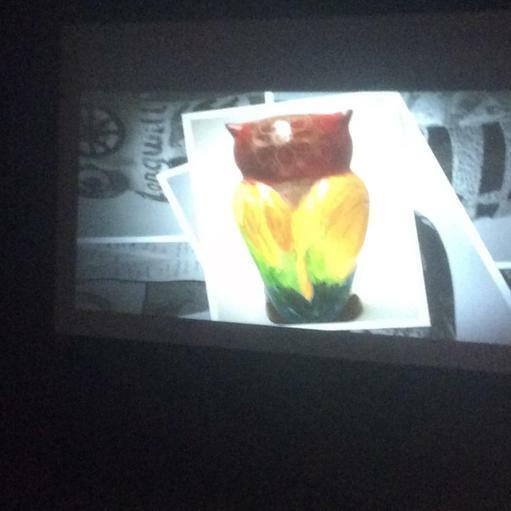 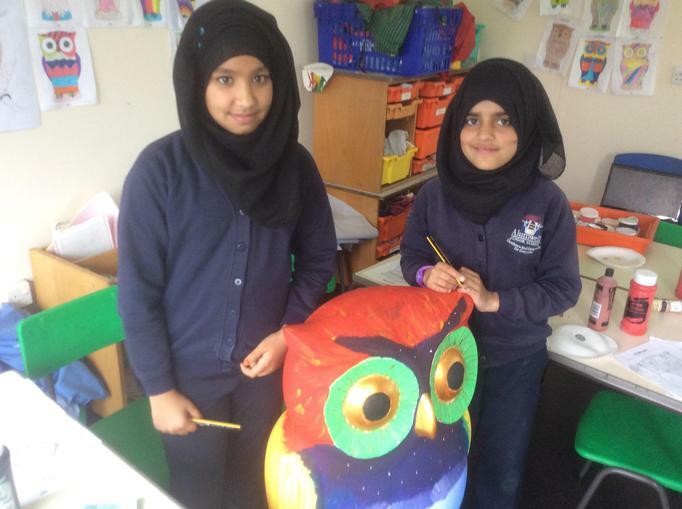 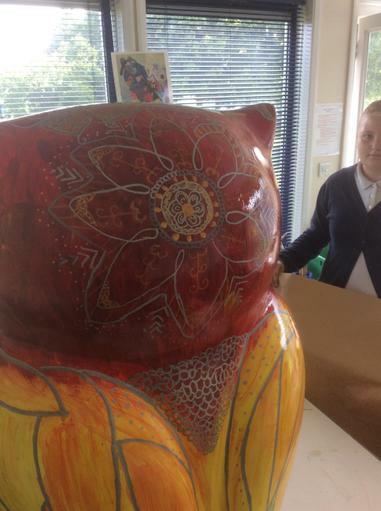 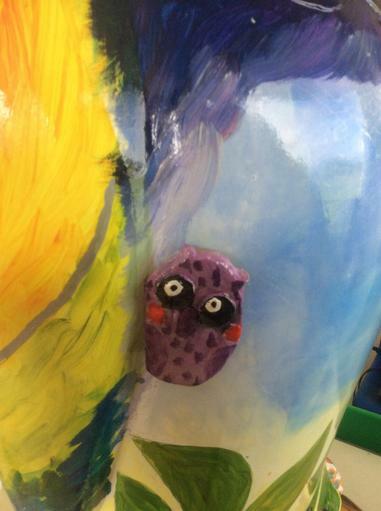 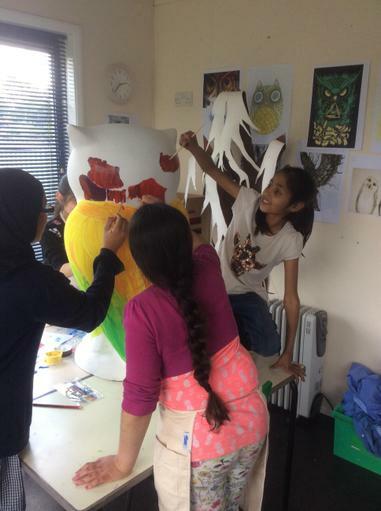 Some of the Art Extra Big Hoot team with Professor Wilbert Owl. 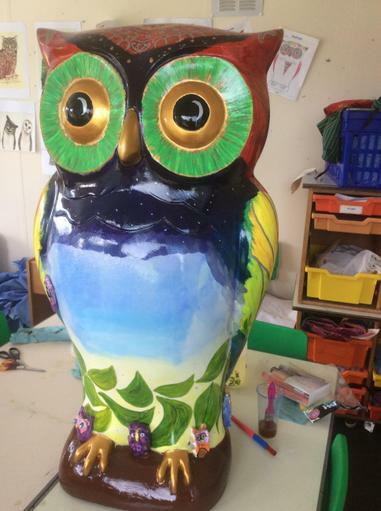 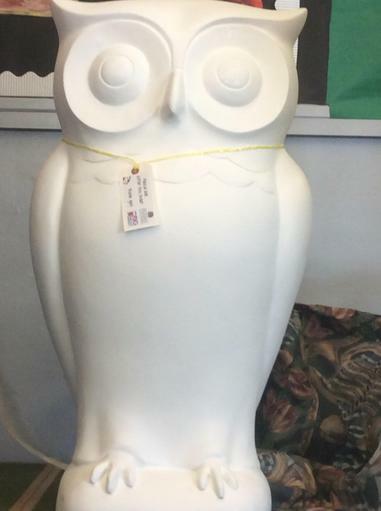 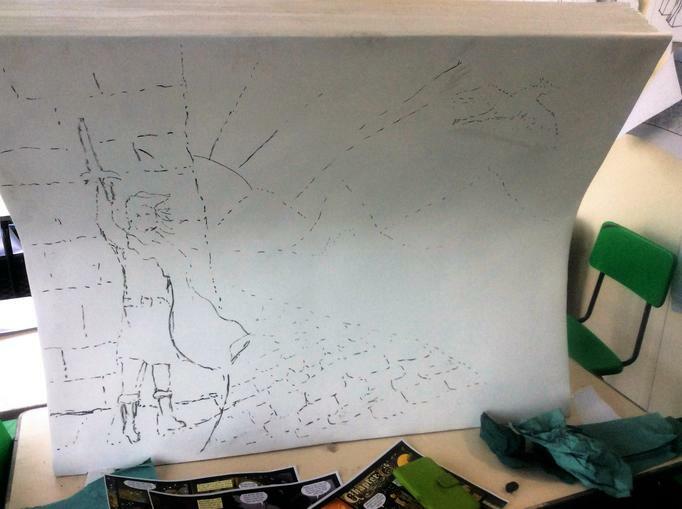 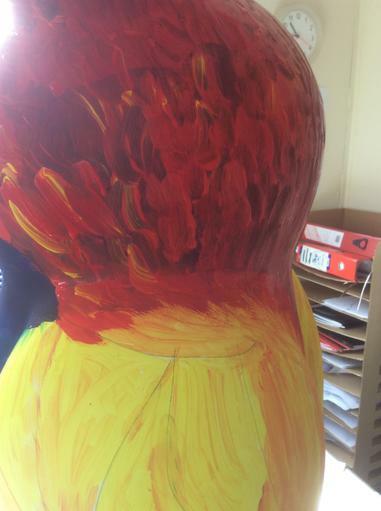 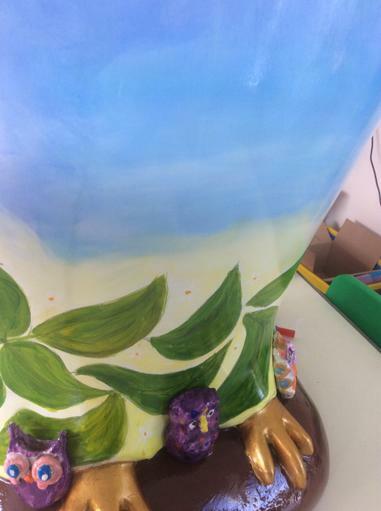 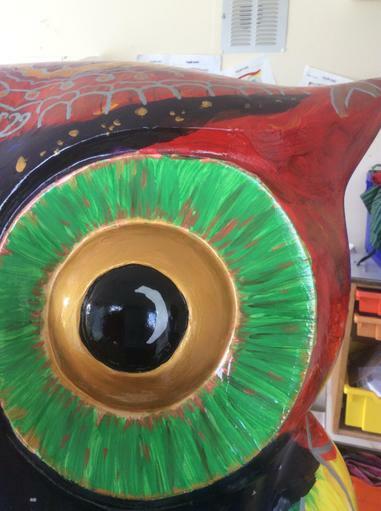 We've had a fantastic time designing and creating Professor Wilbert's plumage ready for his flight to Birmingham. 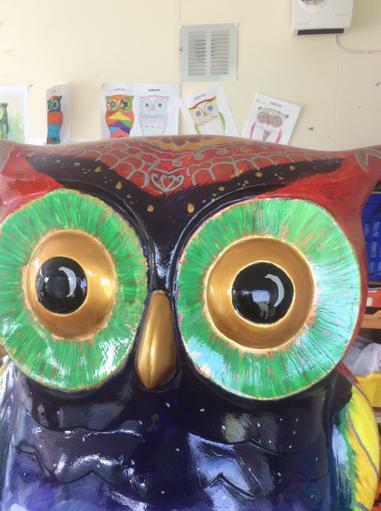 Let's hope Professor Wilbert helps them raise a lot of well needed funds! 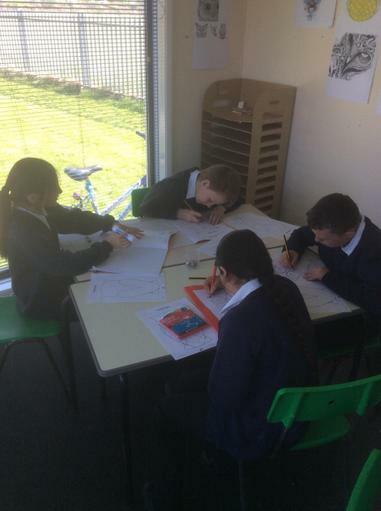 Just a few of the fantastic design ideas! 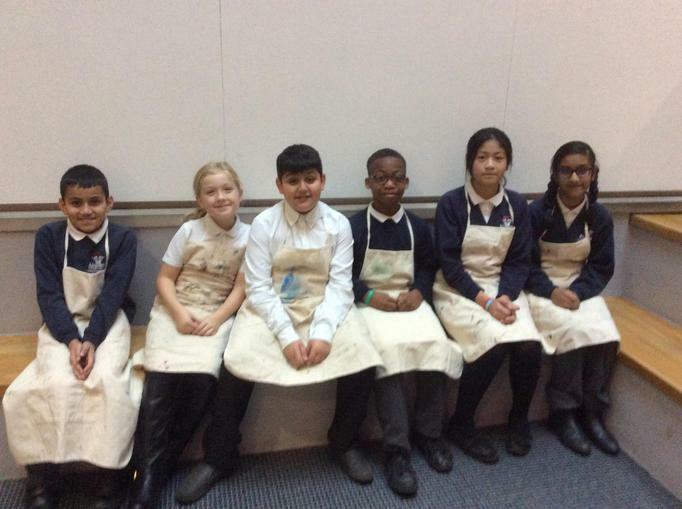 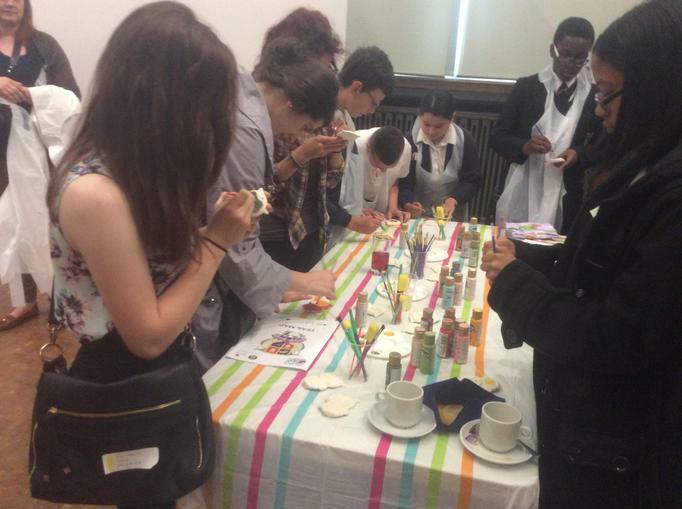 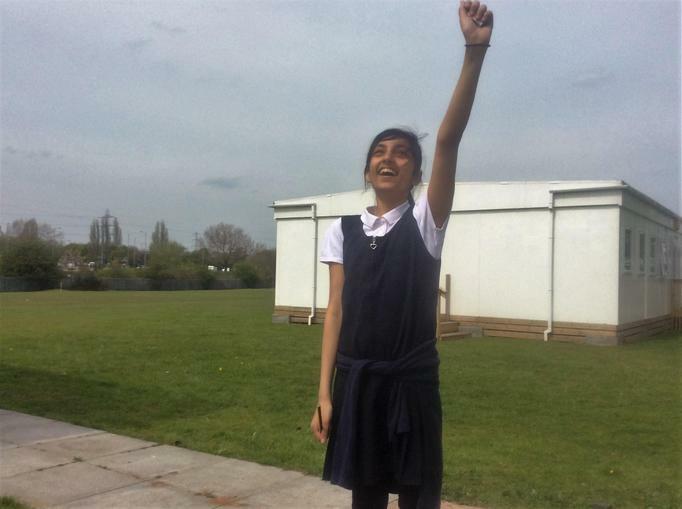 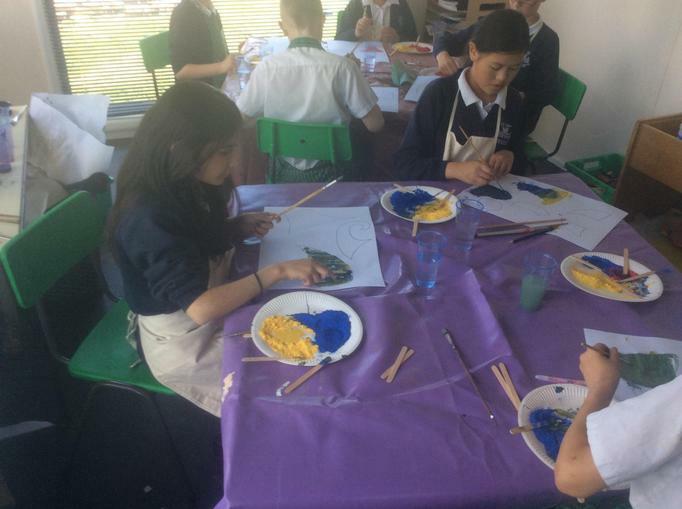 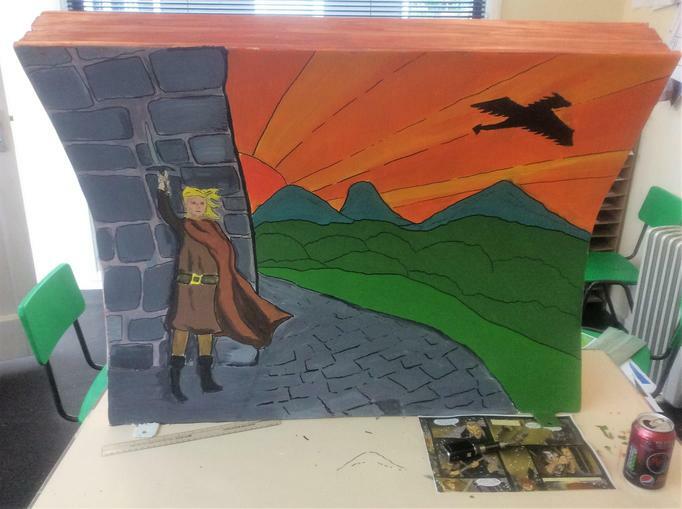 The Arts Extra! 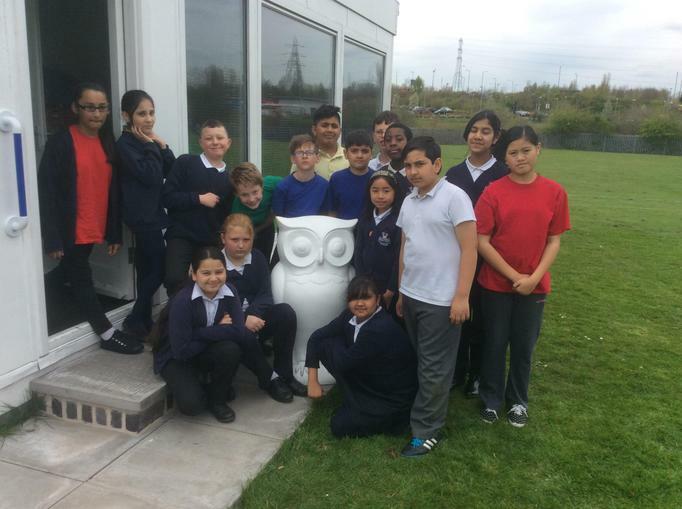 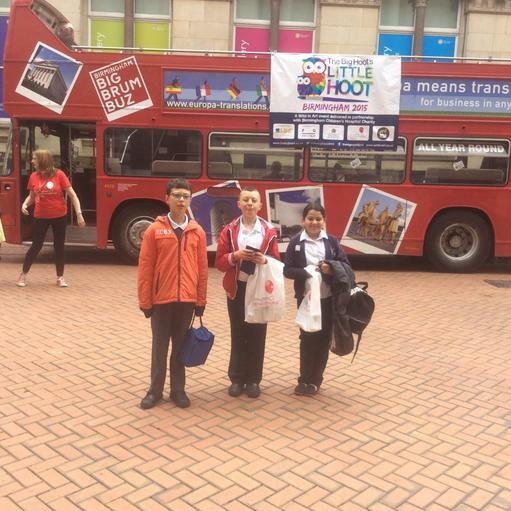 Big Hoot team ready for action!